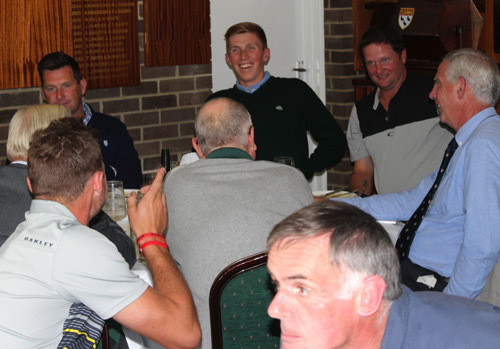 An informal Pie & Pint Luncheon in the Harris Room at the Home of Kent Cricket - the Spitfire Ground, Canterbury. 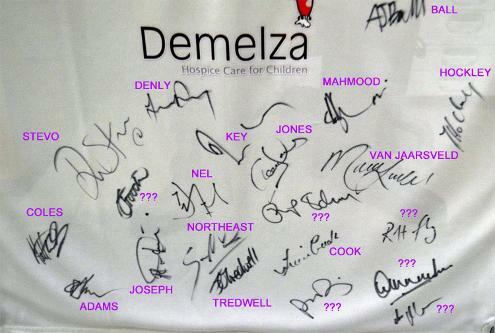 plus the usual raffles, auction, etc! 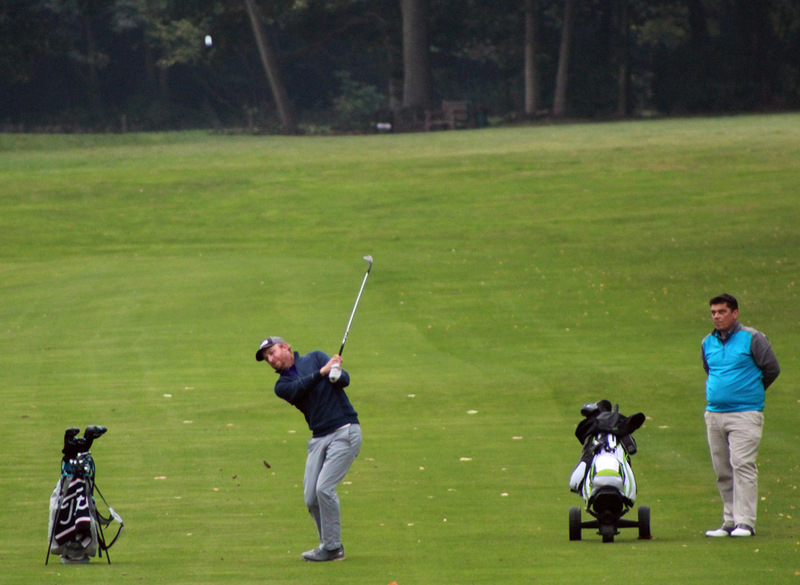 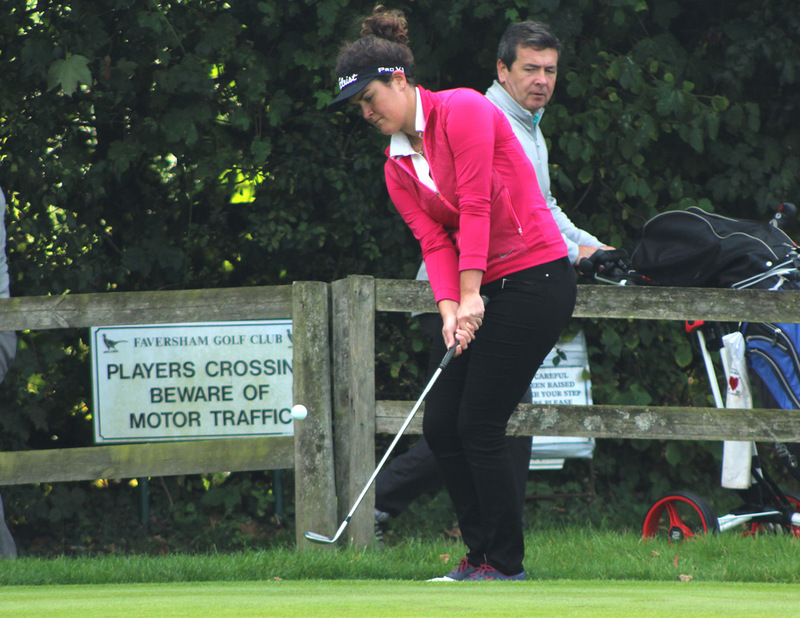 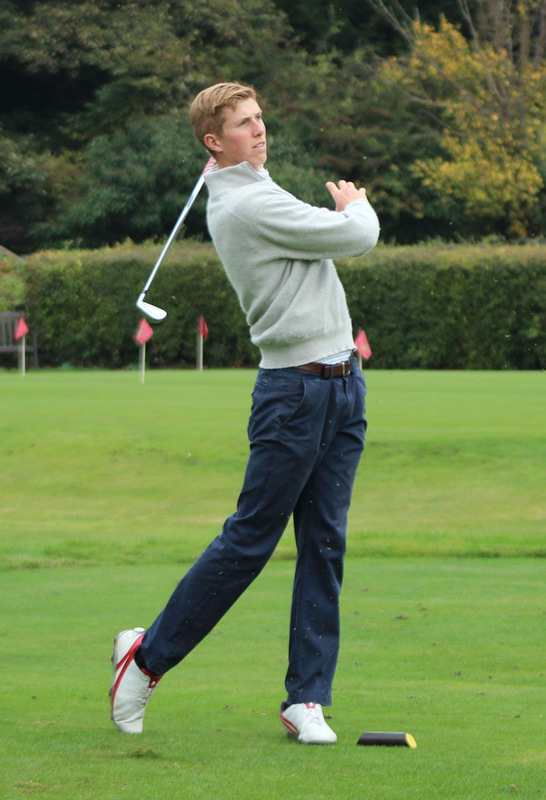 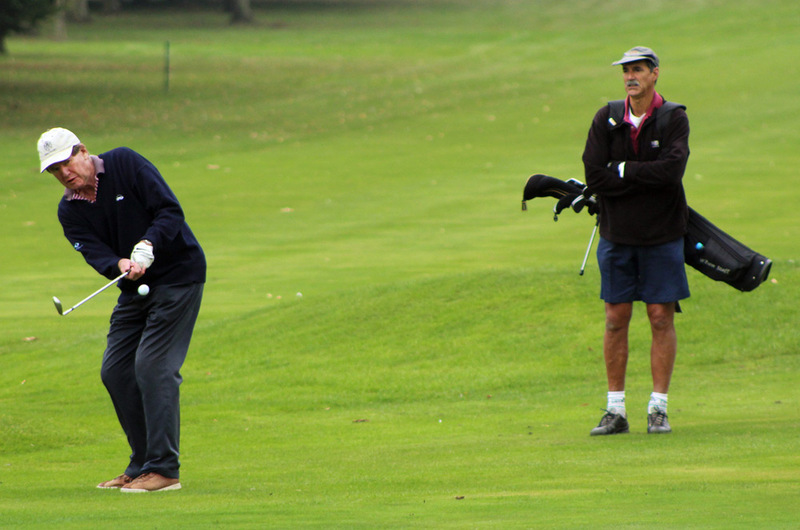 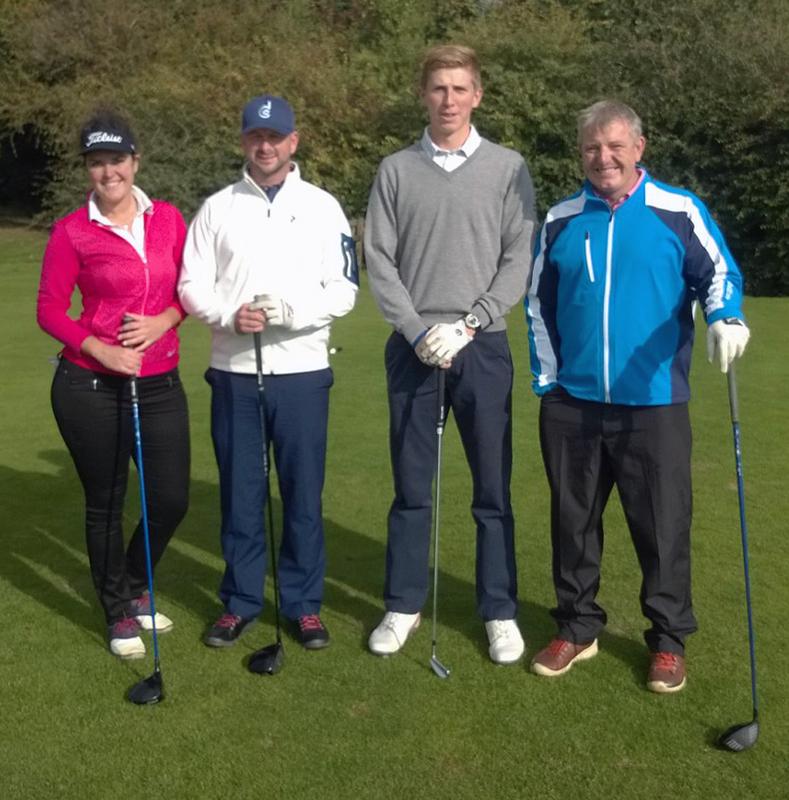 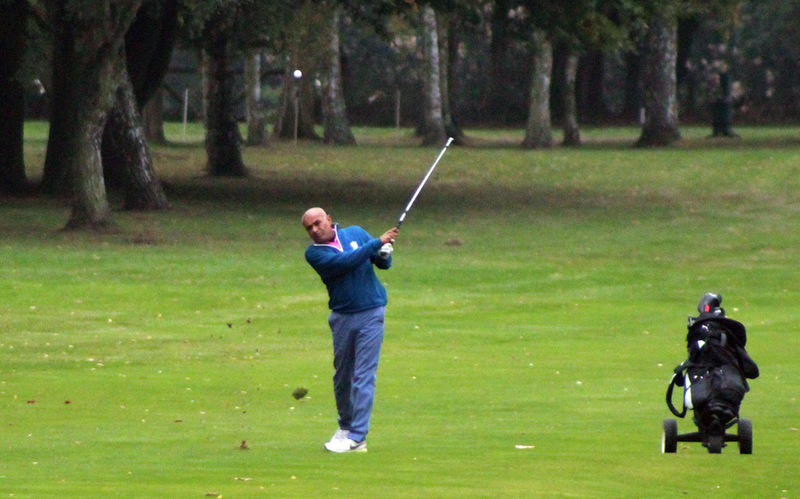 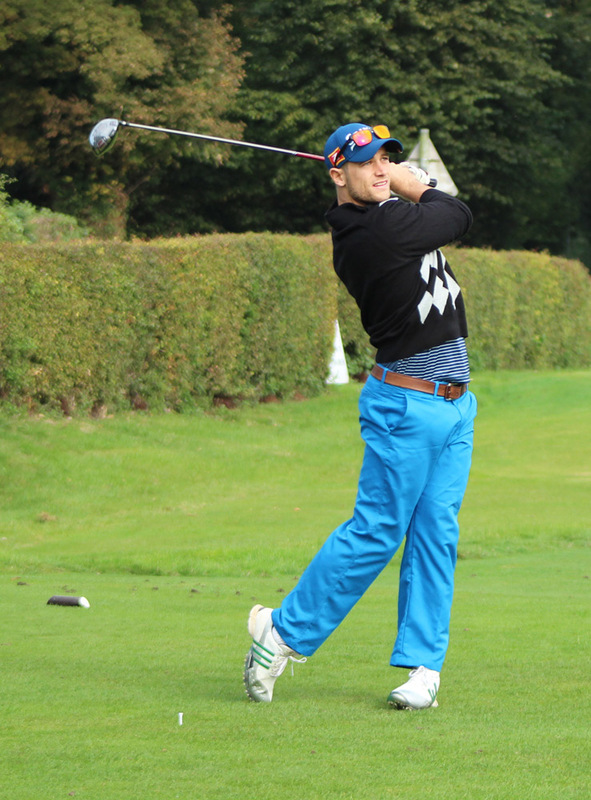 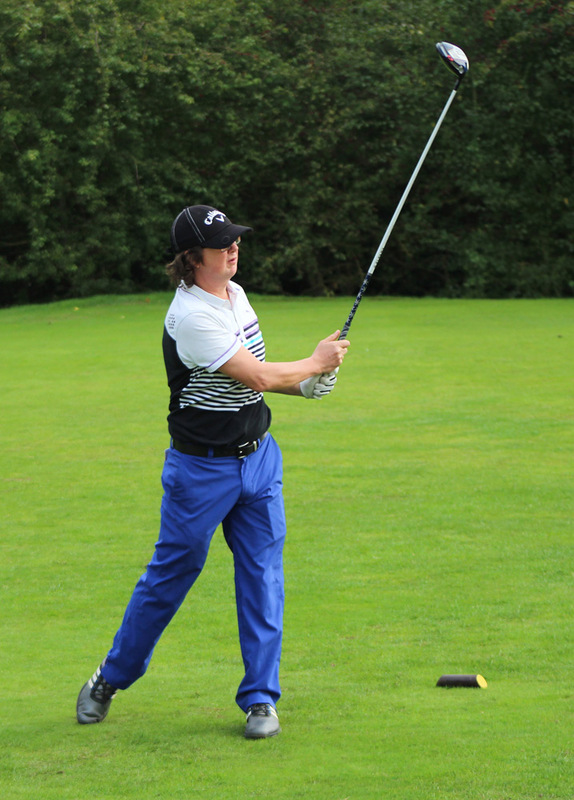 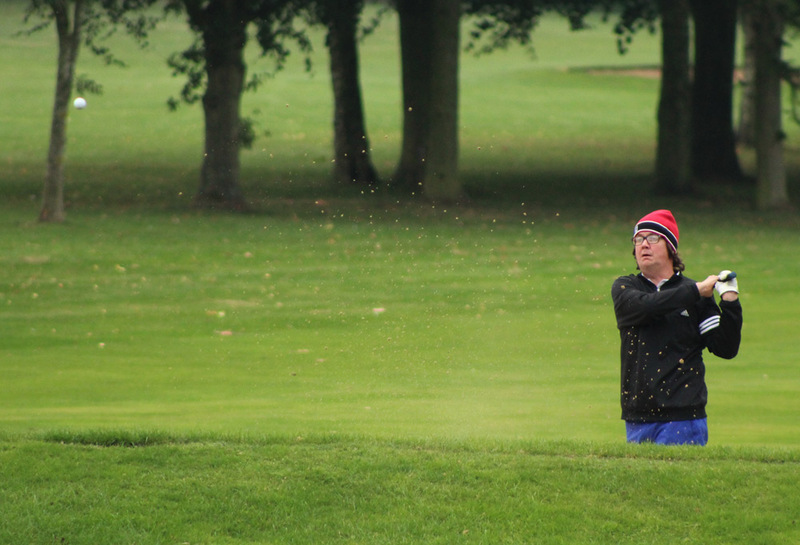 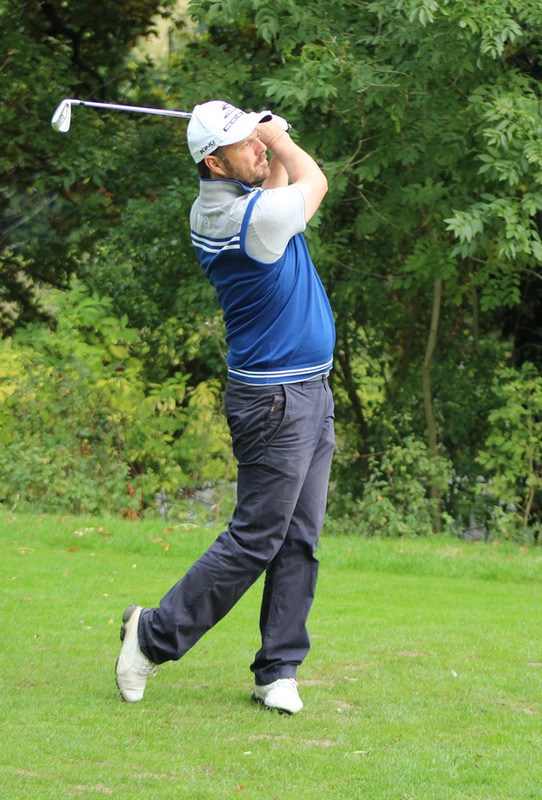 at Westerham Golf Club (21st Oct). 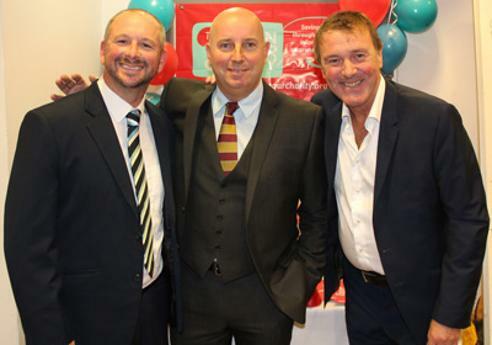 Photo 2: Stevo with Kevin Igglesden & Phil Tufnell. 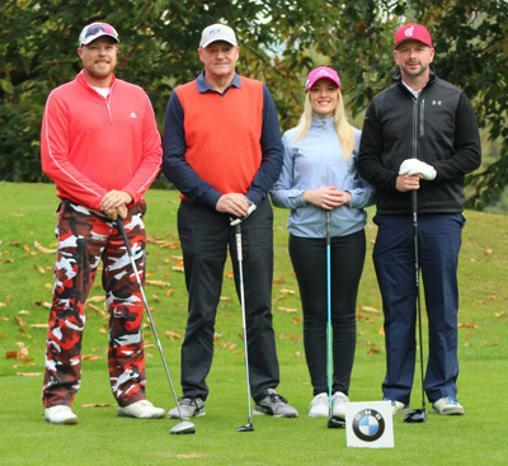 Hosted by Alan & Kevin Igglesden in conjunction with Darren Stevens / Stevo 2016 Benefit & the Brain Trust Charity. 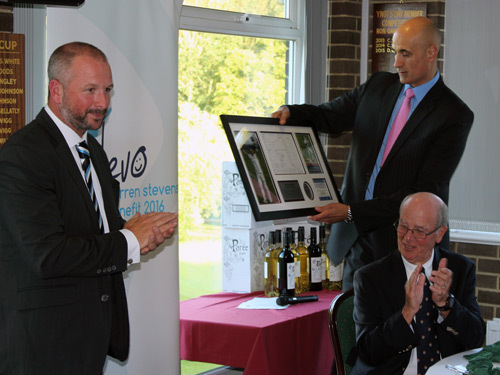 Relive STEVO's first ton of his benefit season against Gloucs CCC at Bristol in August. 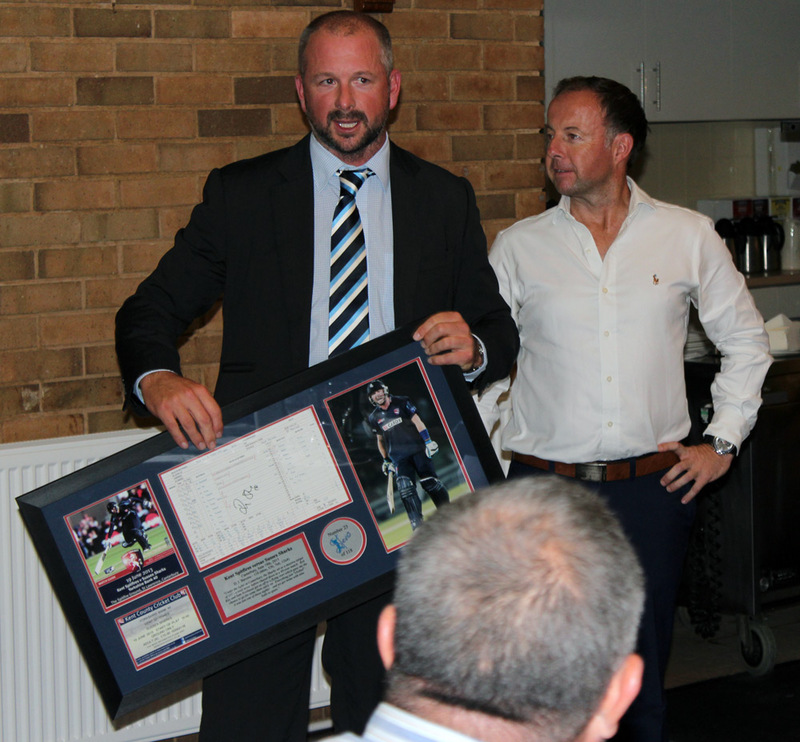 His 30th first class century came off 114 balls with 14 x 4s & 2 x 6s. 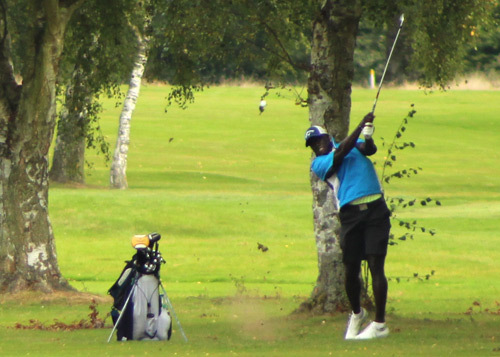 On the second day of the championship game, there were also 50s for Daniel Bell-Drummond, captain Sam Northeast and Sam Billings - with whom Stevo added an unbeaten 205. 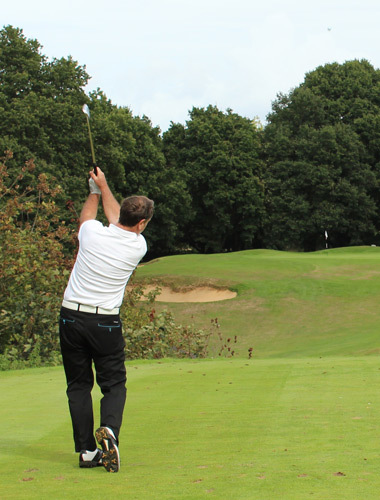 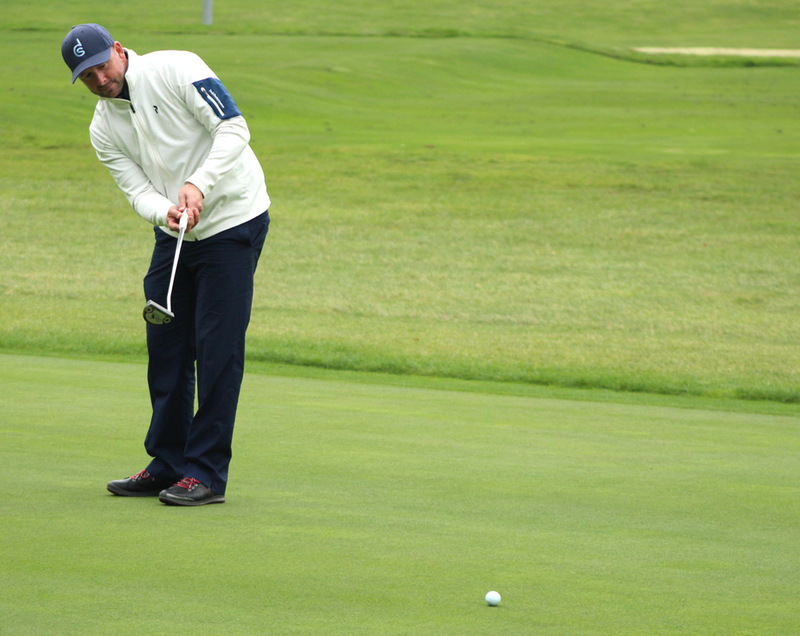 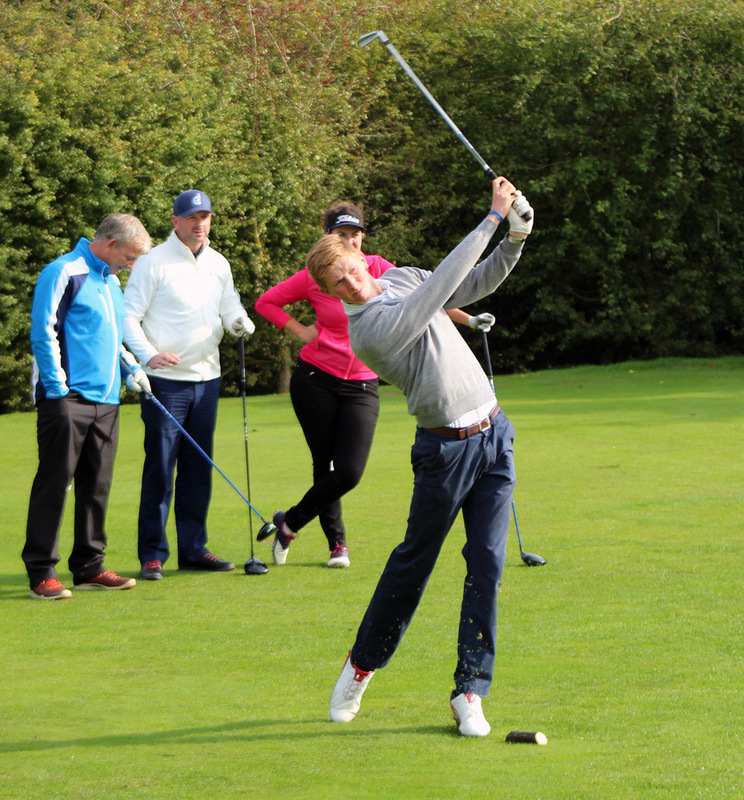 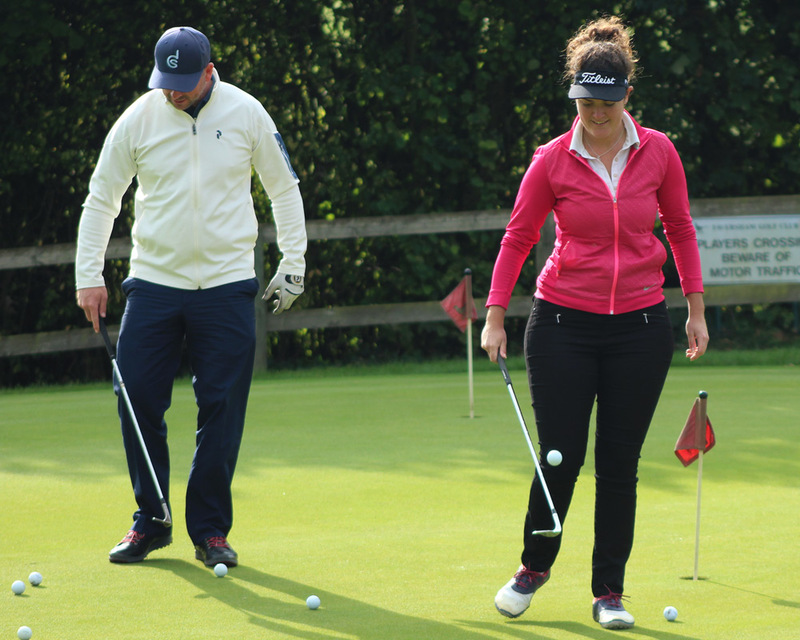 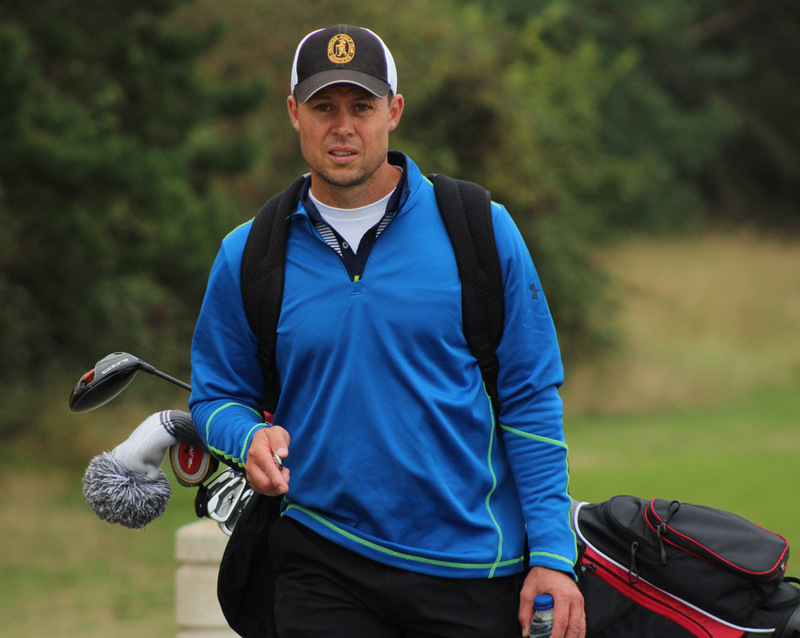 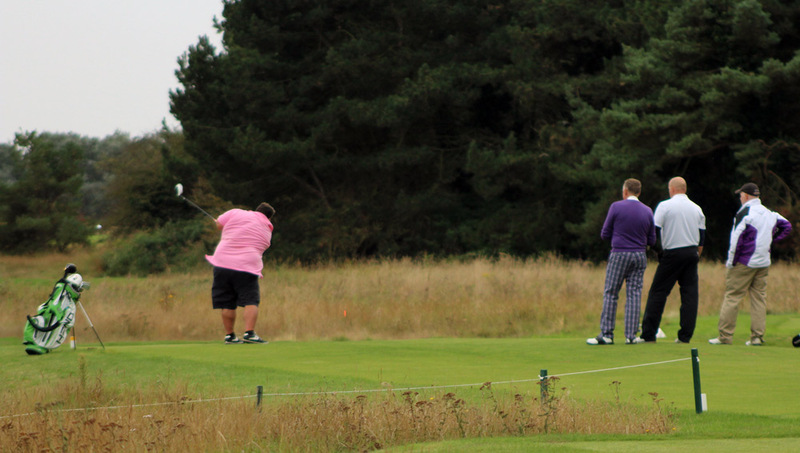 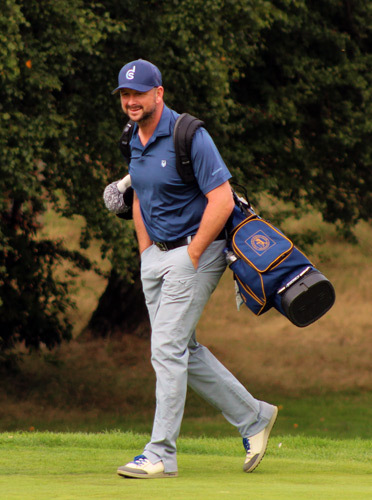 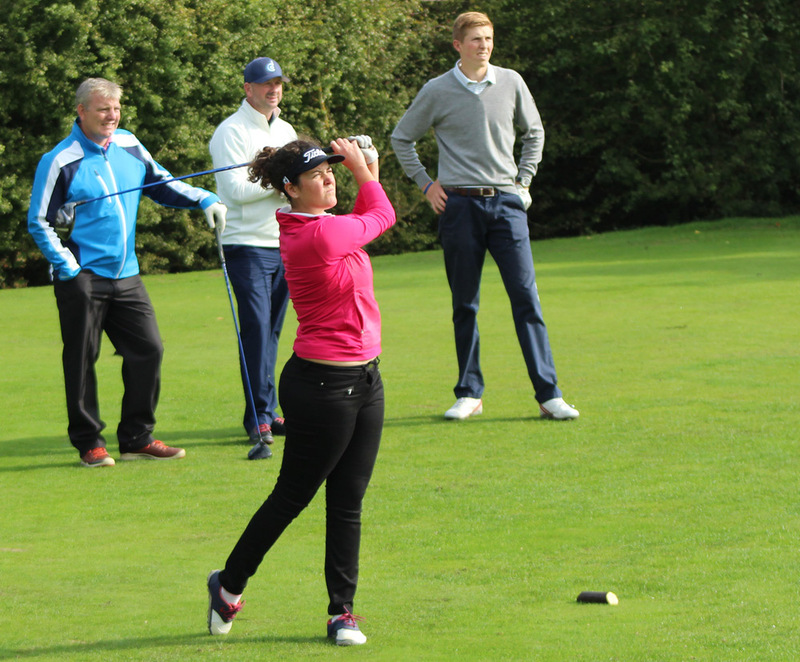 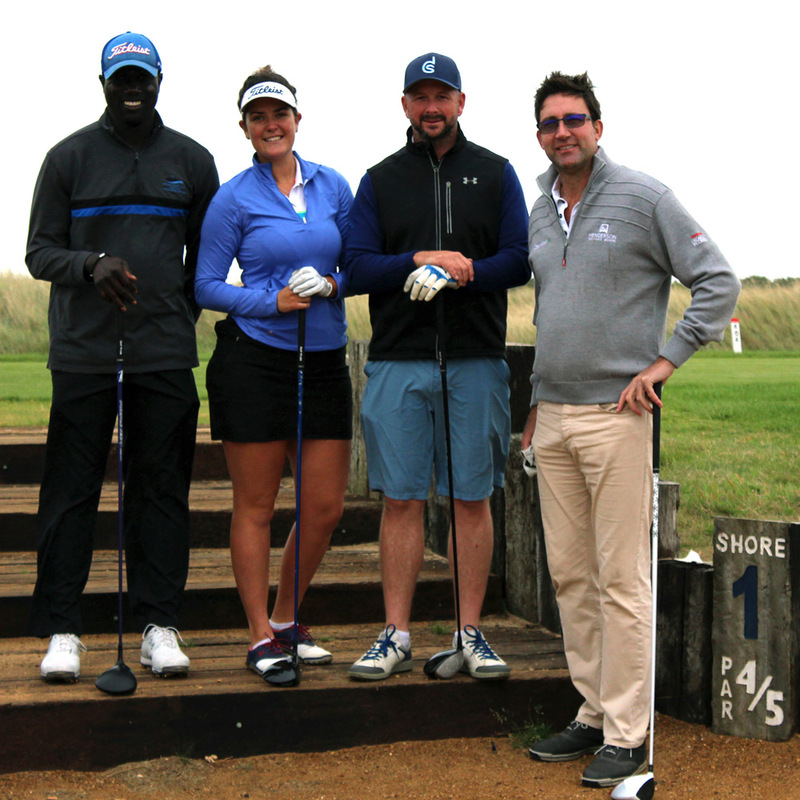 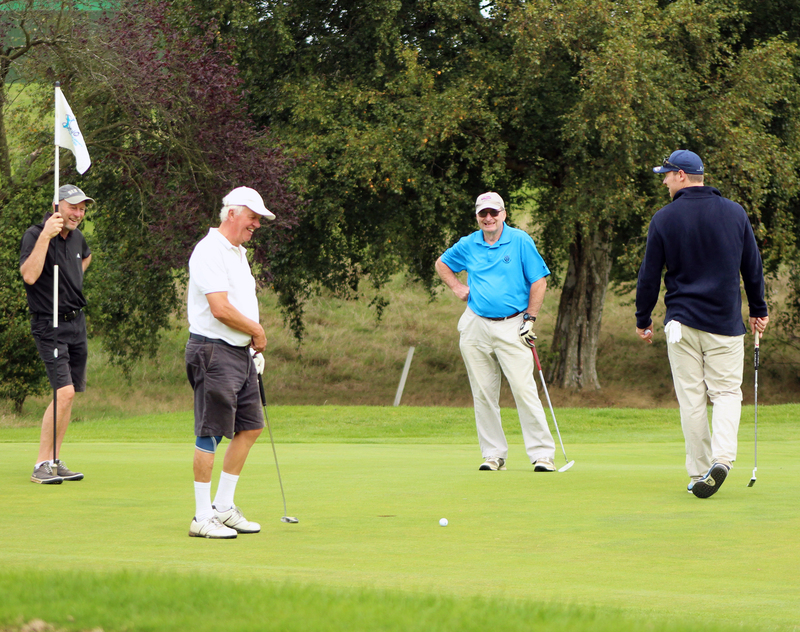 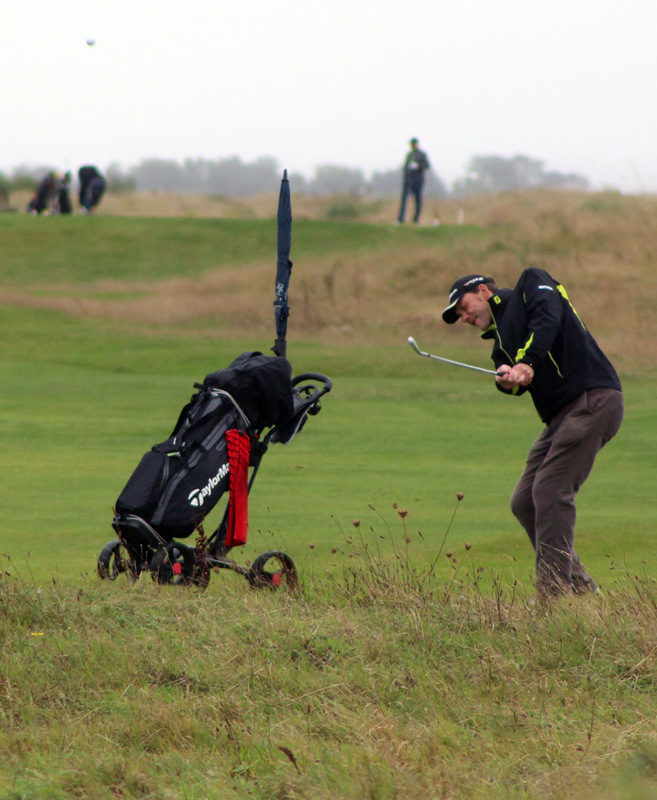 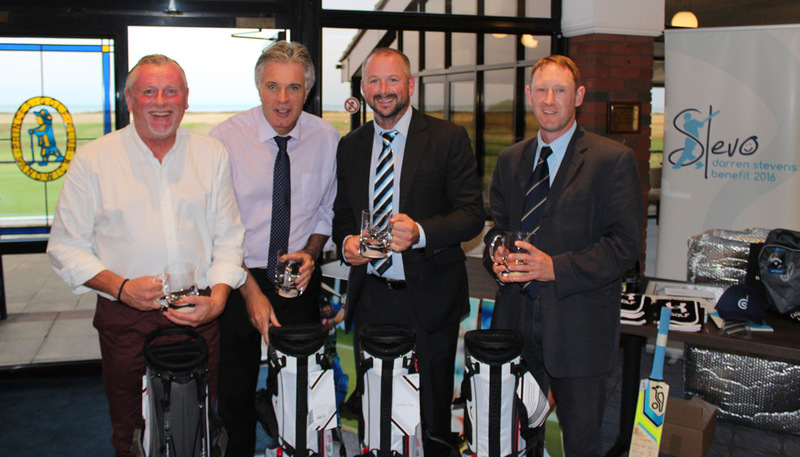 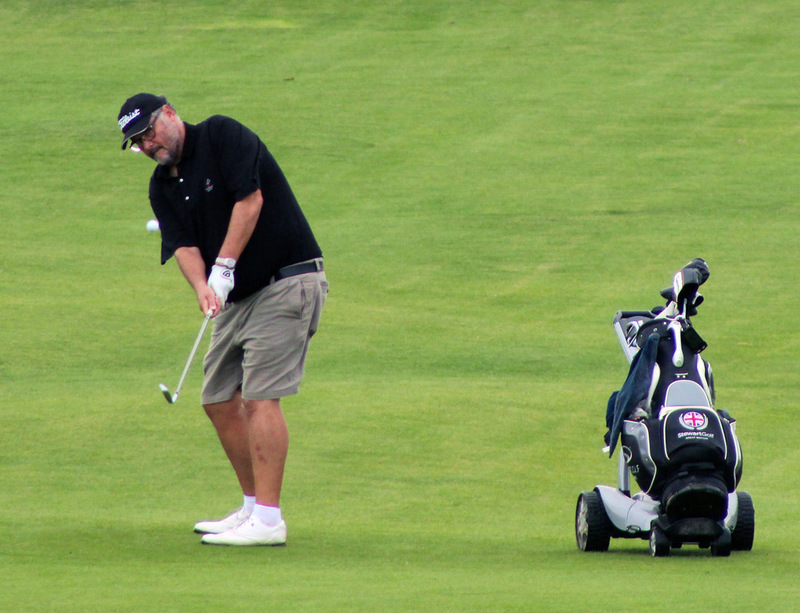 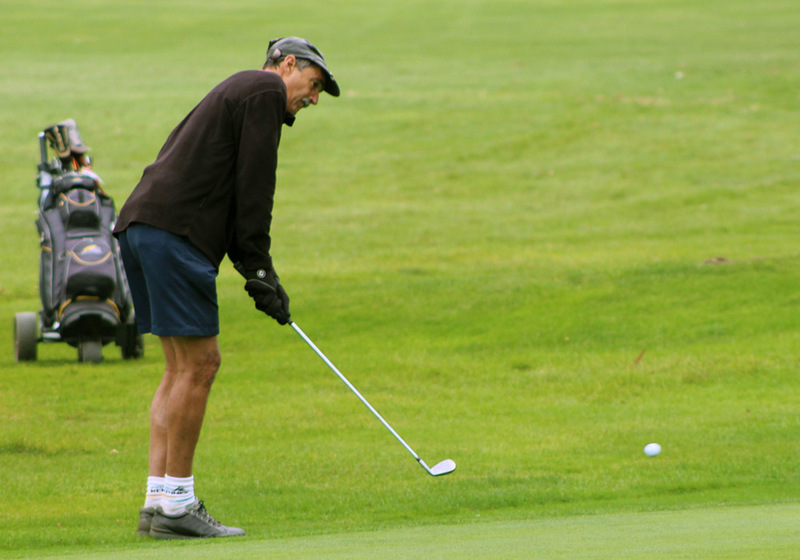 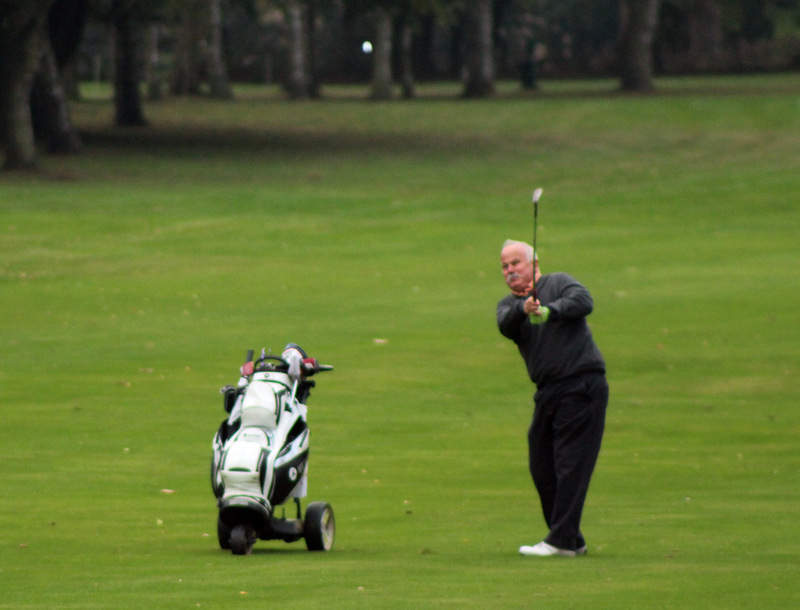 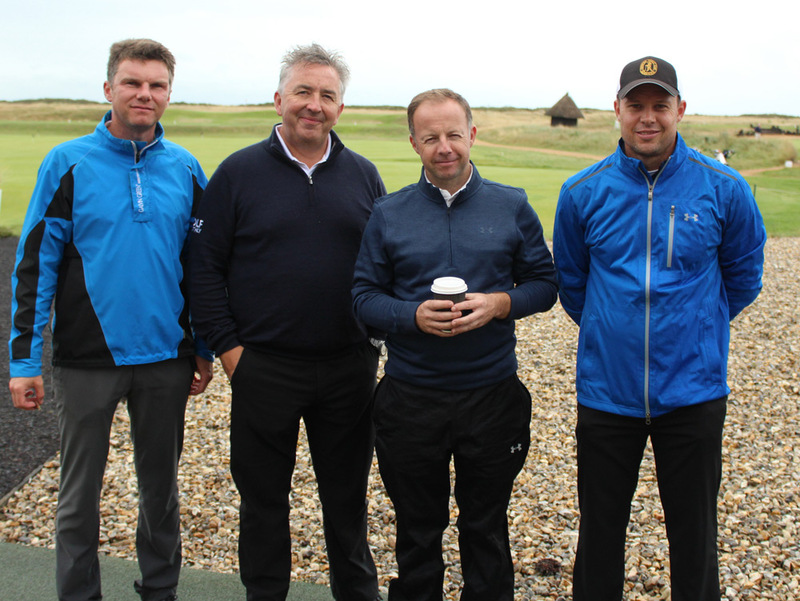 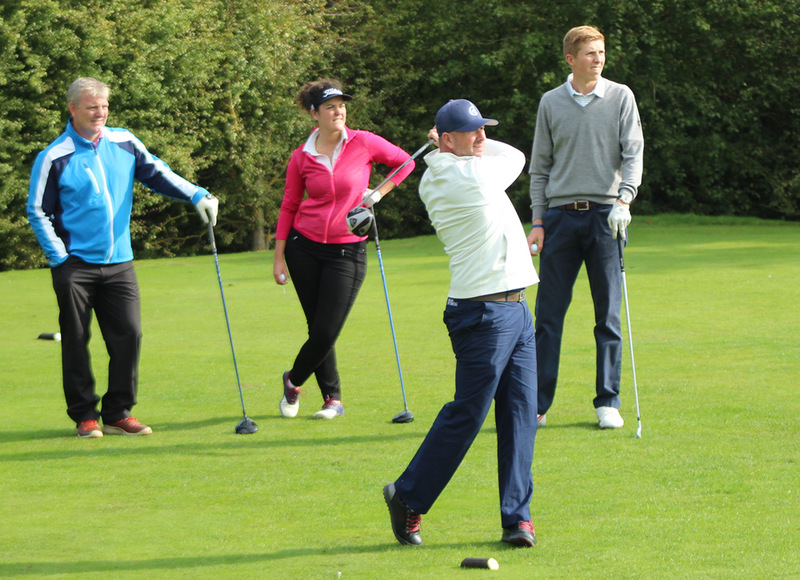 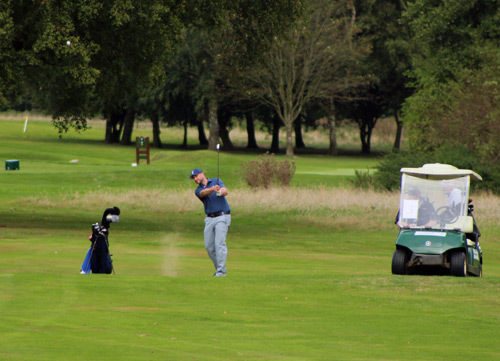 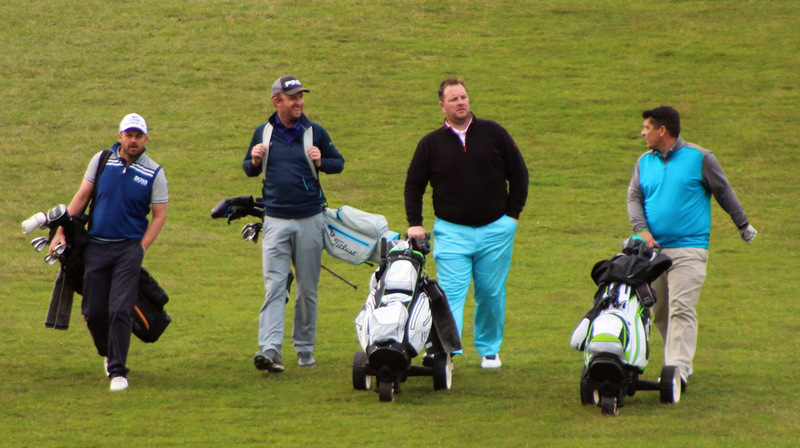 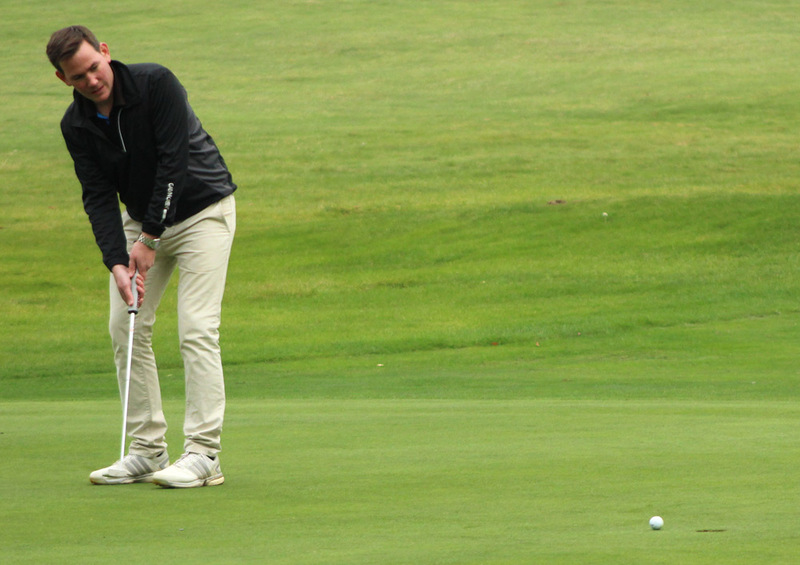 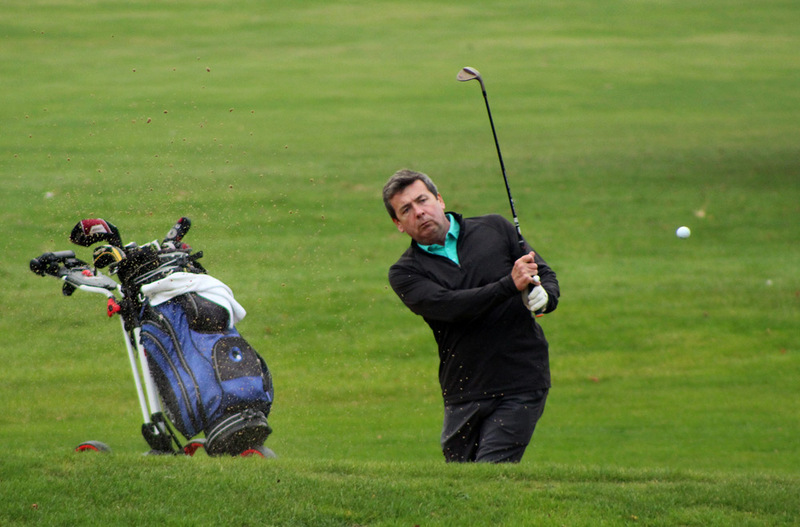 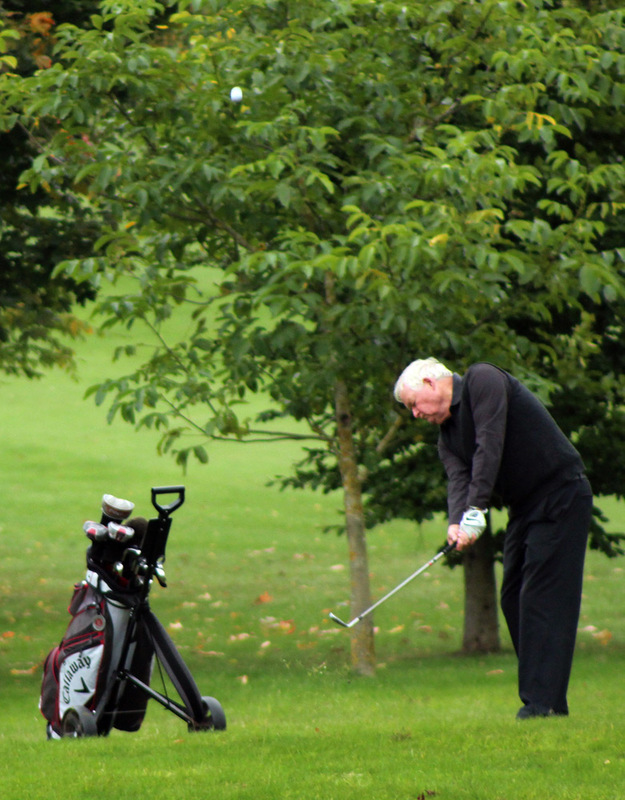 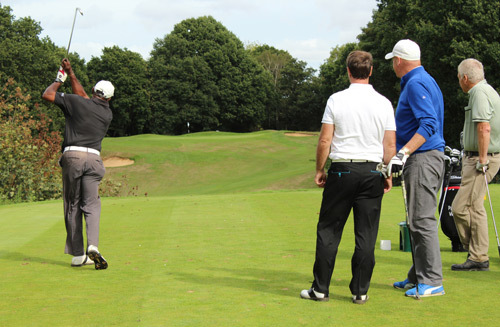 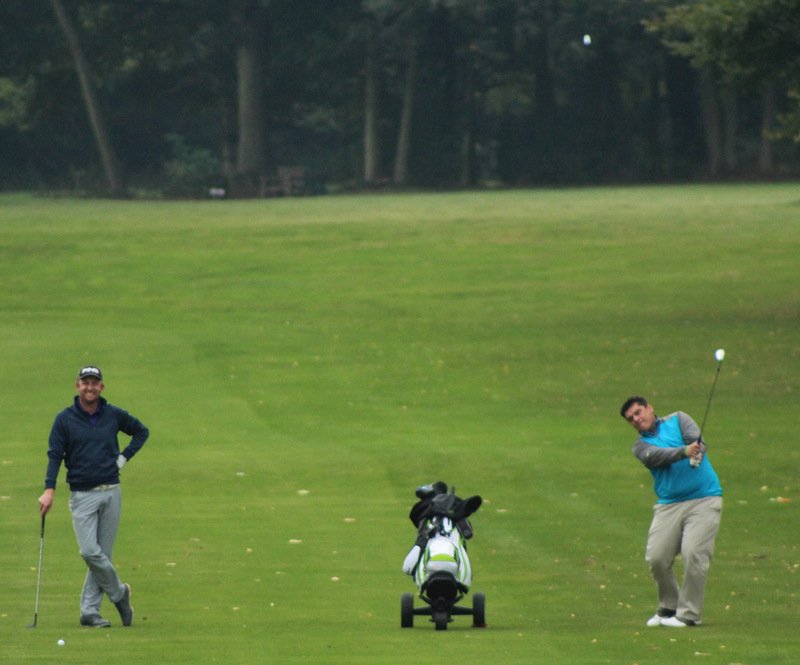 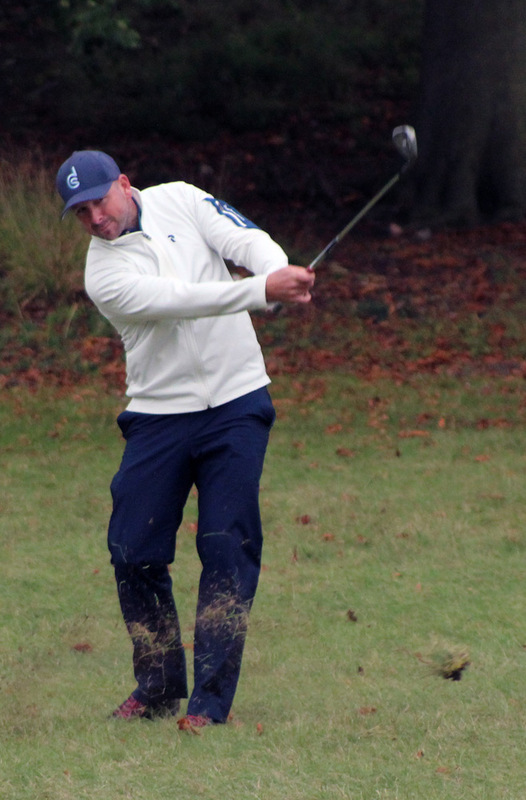 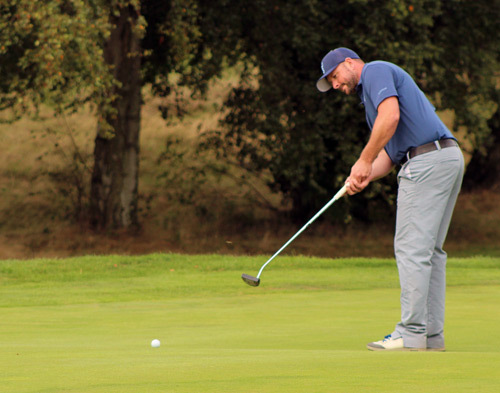 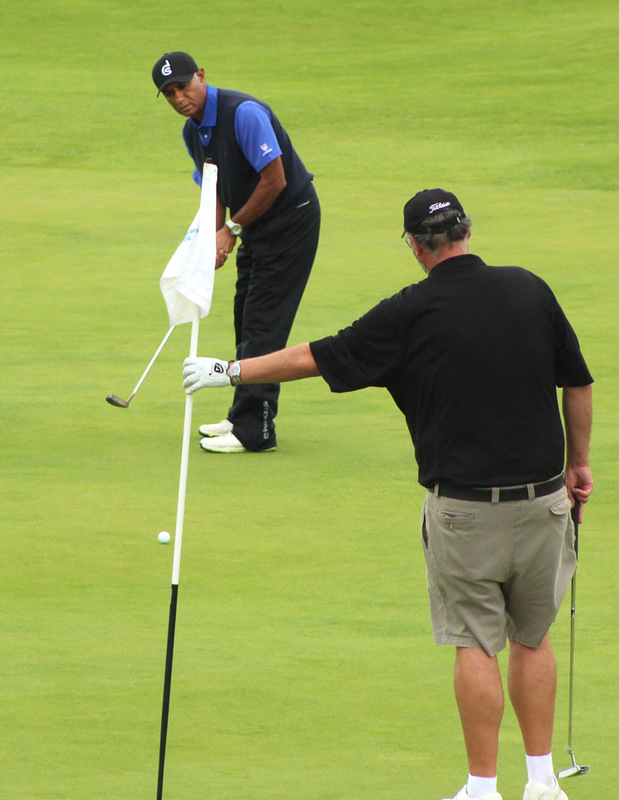 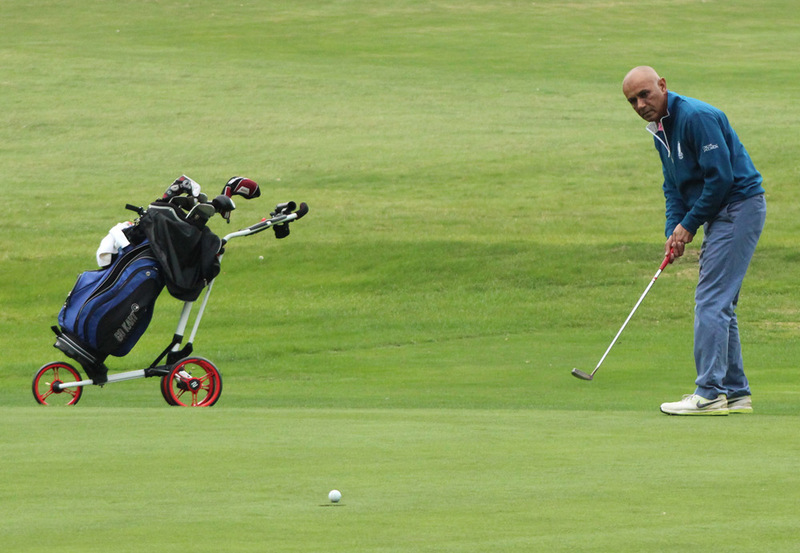 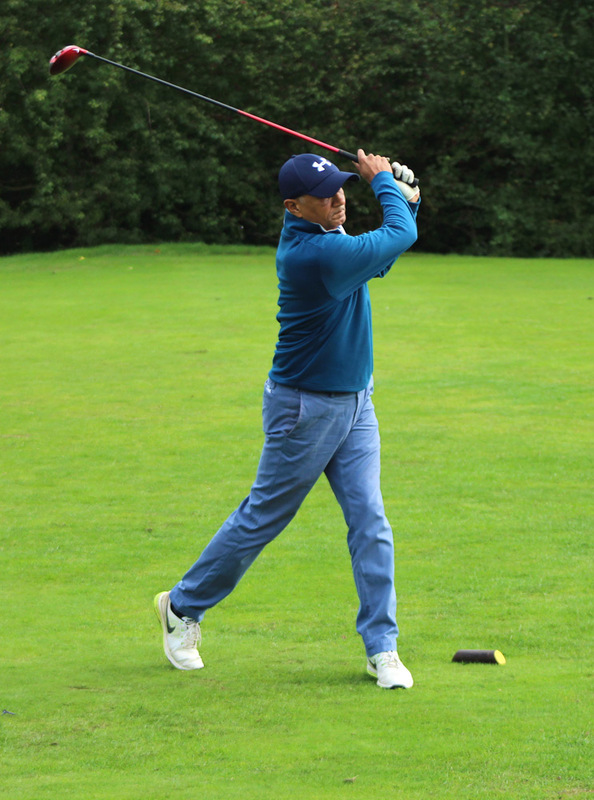 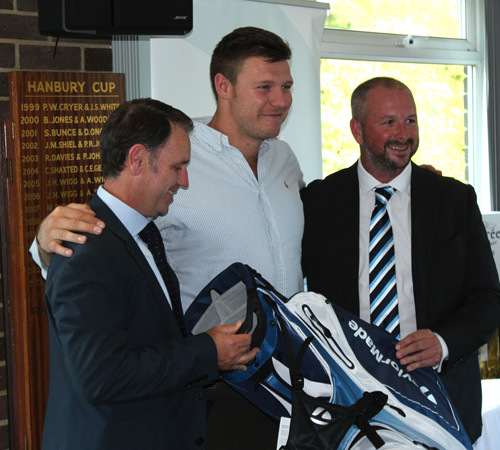 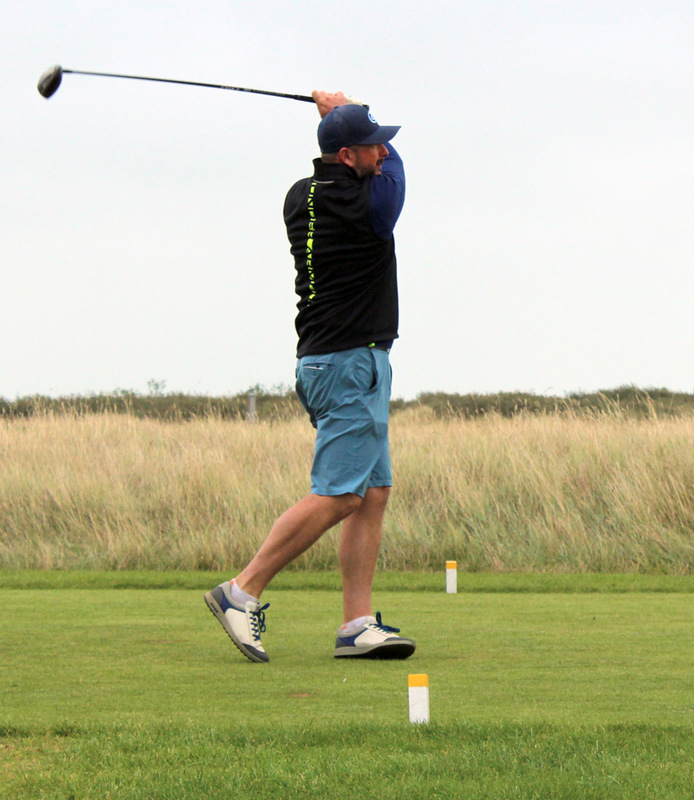 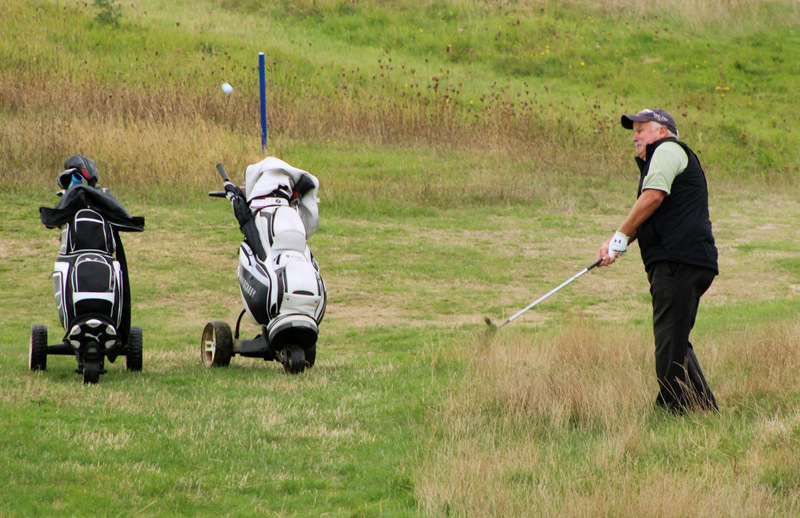 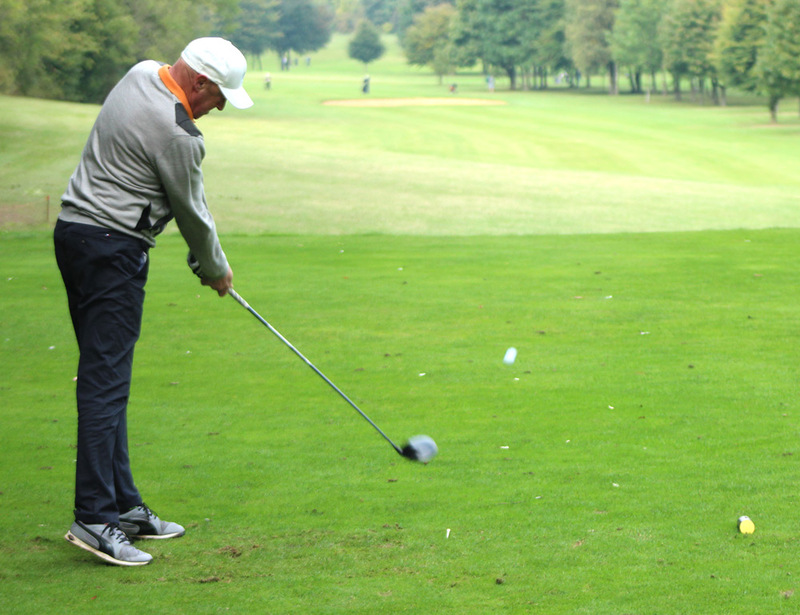 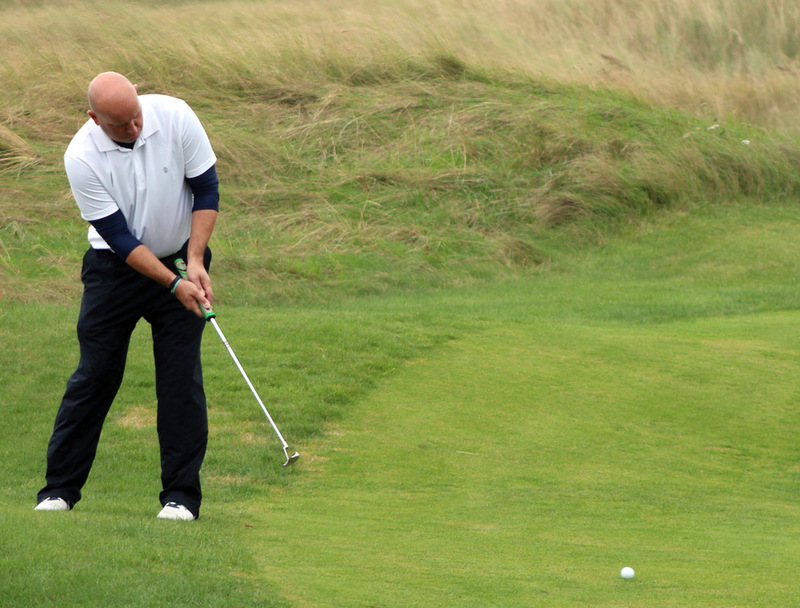 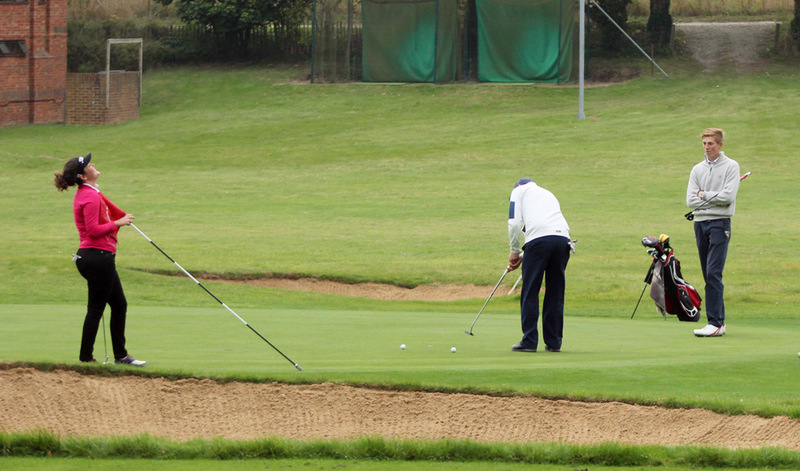 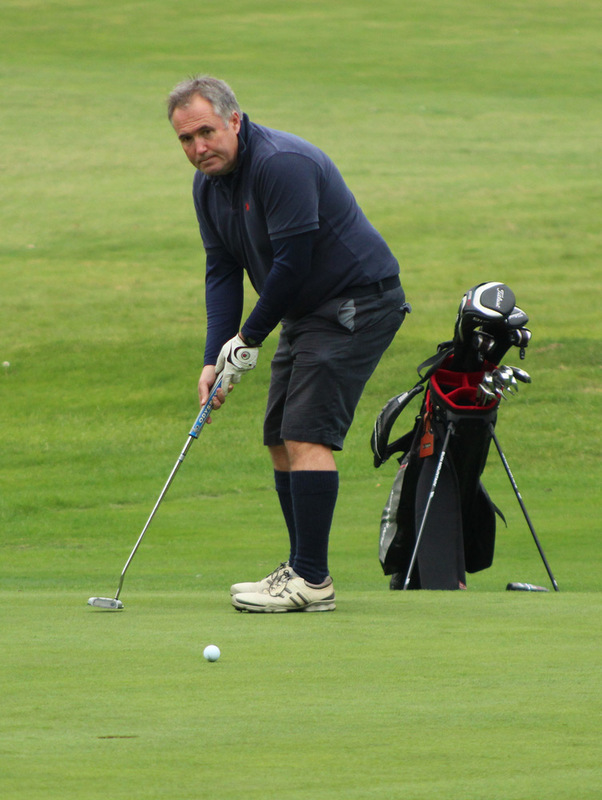 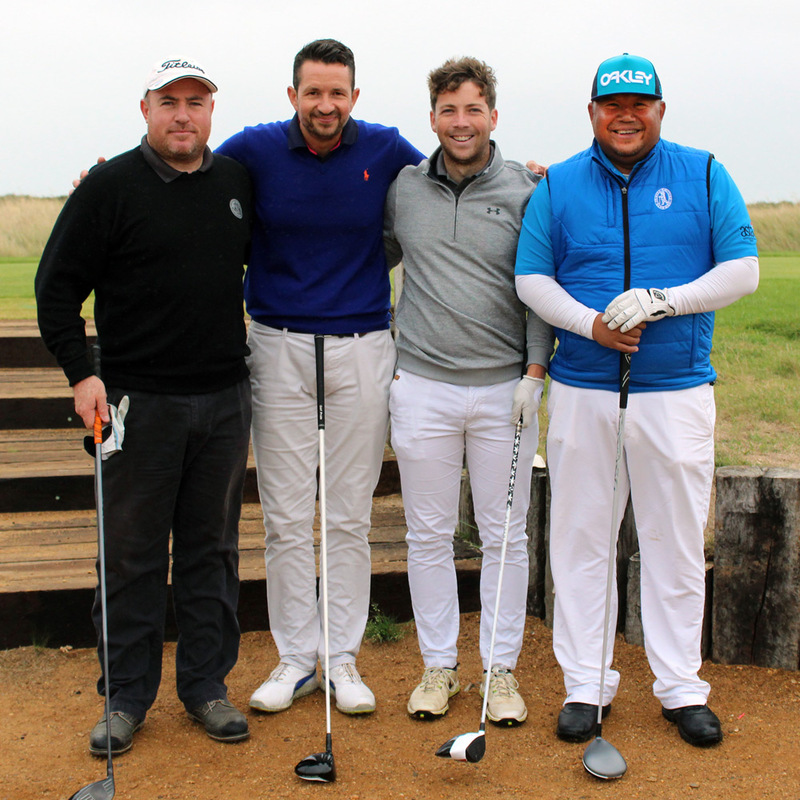 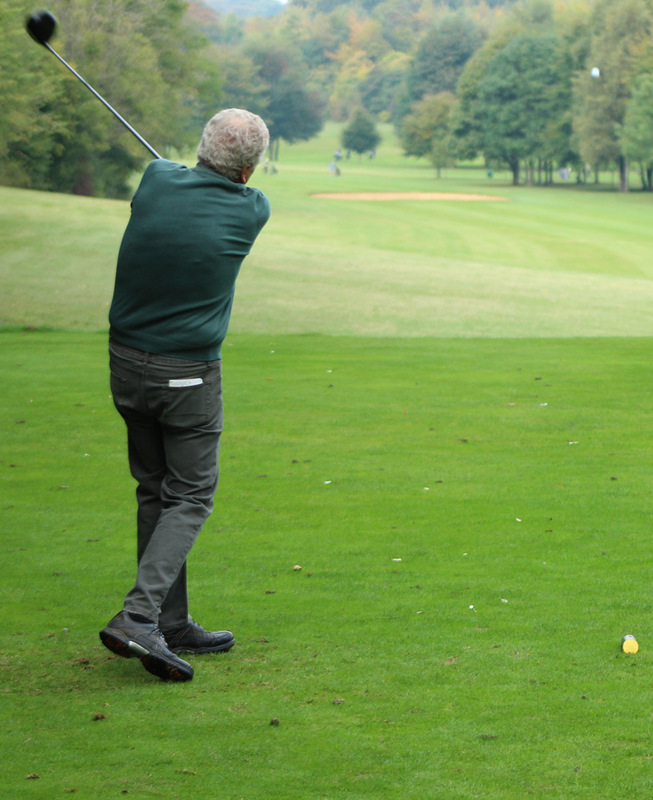 STEVO 2016 GOLF DAY - "Nearest the Pin"
During his Stevo 2016 Benefit Golf Day at Canterbury Golf Club, Kent Cricket beneficiary Darren Stevens challenged all his playing guests to a "Nearest the Pin" contest at the 11th hole. 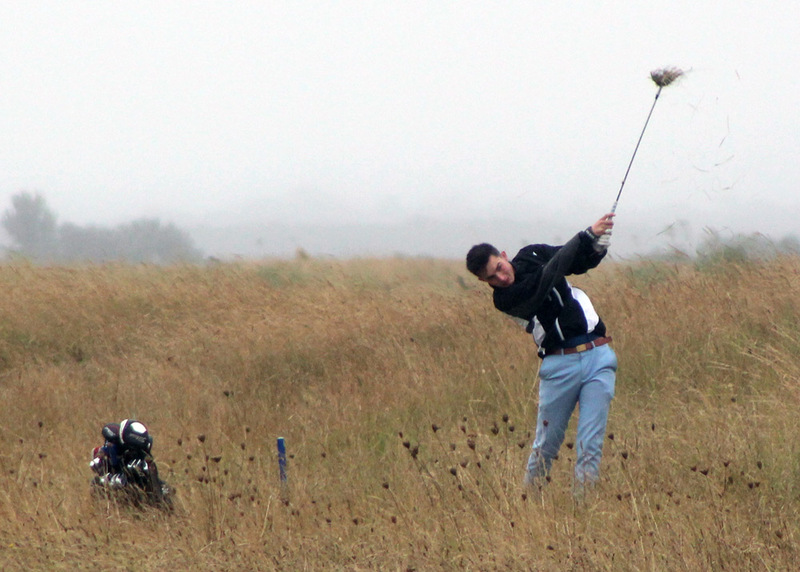 Here Darren goes head-to-head with C.G.C. 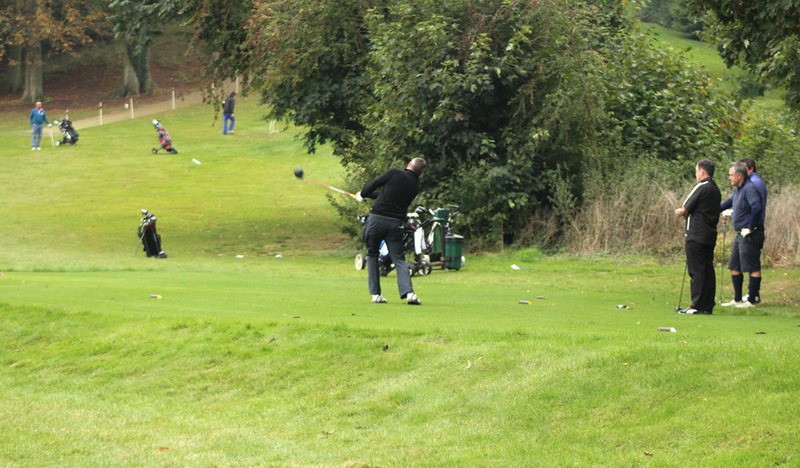 captain Alison Kingston. 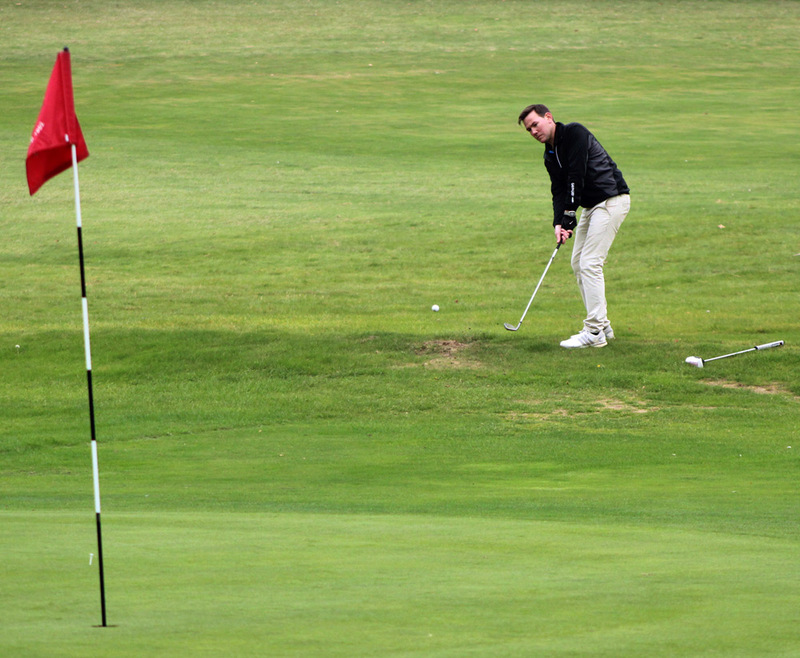 KAGISO RABADA "HOLES OUT" ON 18 IN THE RAIN! 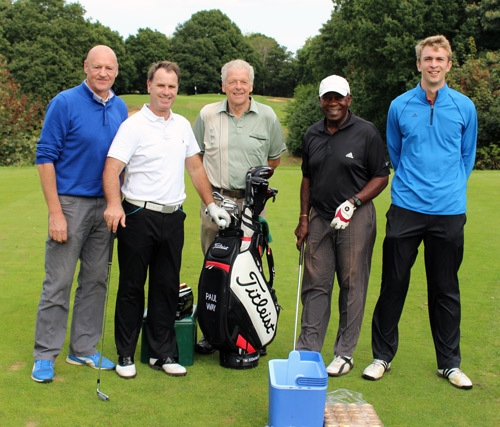 In only his third round of golf, South African fast bowling phenom Kagiso Rabada took part in the Golf Day. 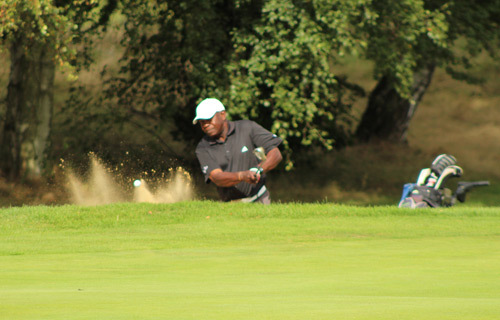 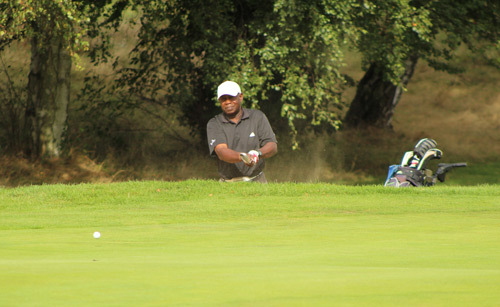 Despite the pouring rain and having spent over five hours on the course, Kagiso was still full of fun and mischief as he playfully approached the sodden 18th green. 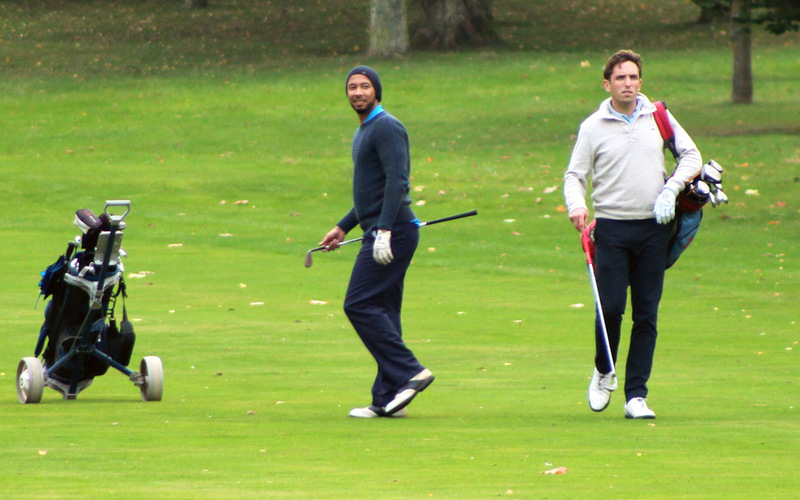 Engouraged by boisterous bar-room banter (thanks mainly to Stevo himself from the sanctuary of a dry clubhouse), Kags royally entertained the assembled 19th holers with some impromptu and some slightly dubious golfing action - which broke a few of the Royal & Ancient sport's sacrosanct laws of etiquette! 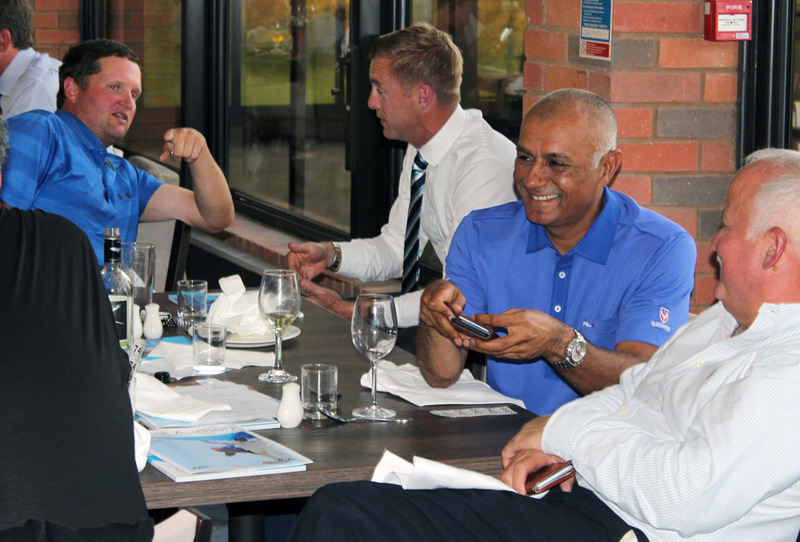 GOLF meets CRICKET. 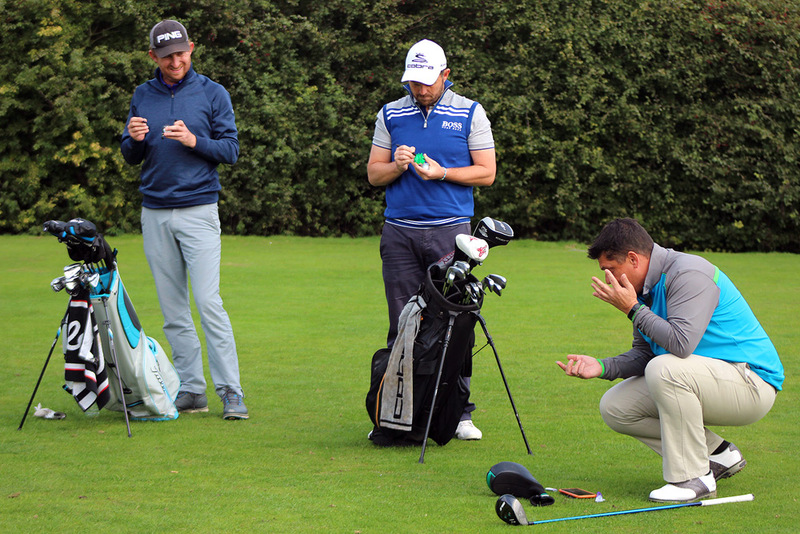 Before Darren's Golf Day at Boughton GC, he teamed up with PGA Tour pro Benn Barham for a Trackman coaching clinic looking at the different techniques in hitting a six and driving a golf ball. 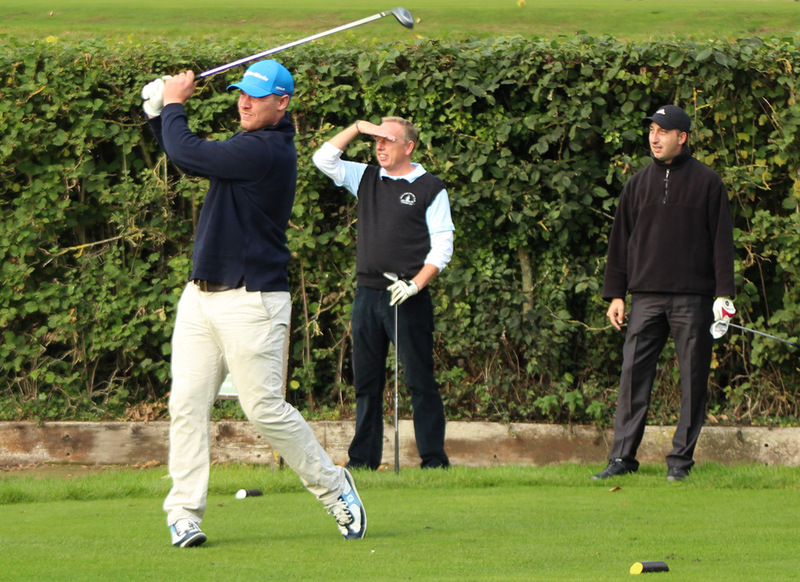 ROB KEY v Princes GC Golf Pro. 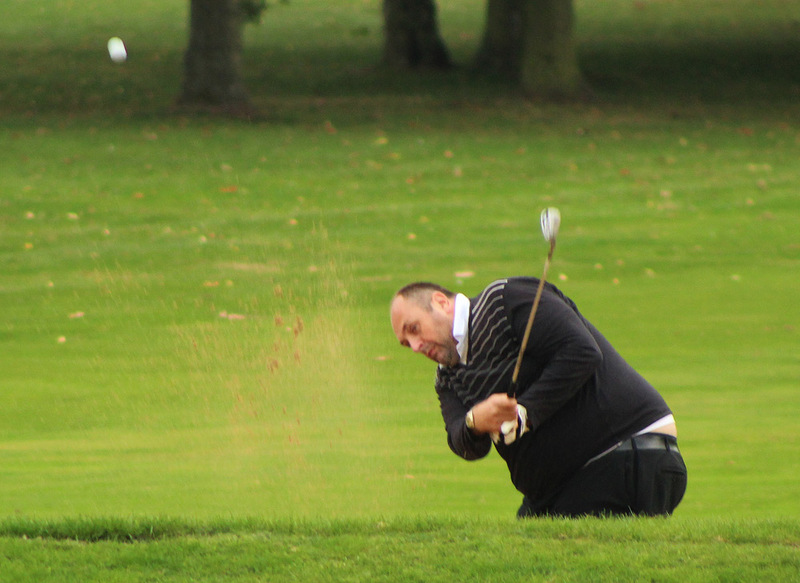 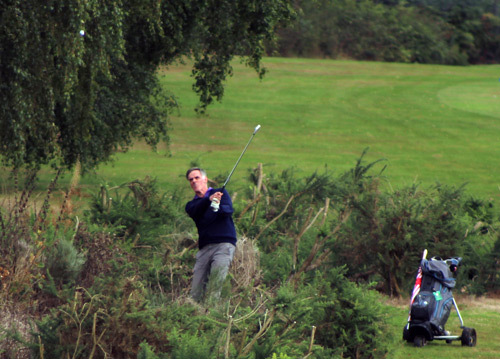 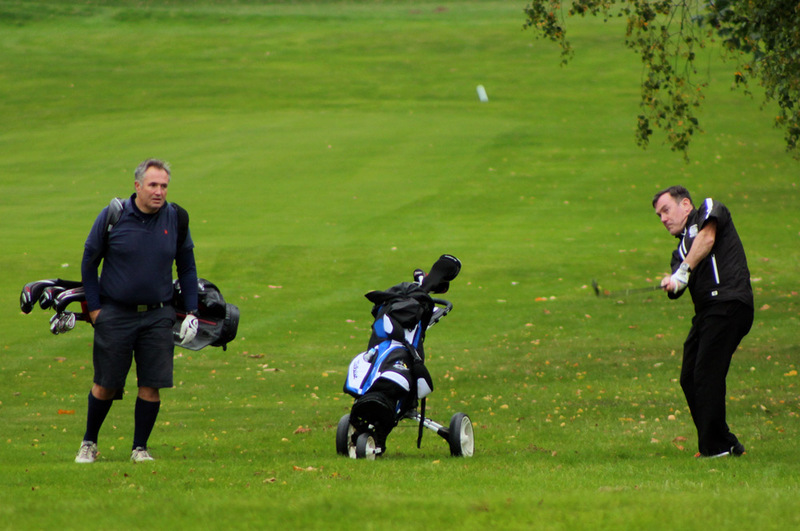 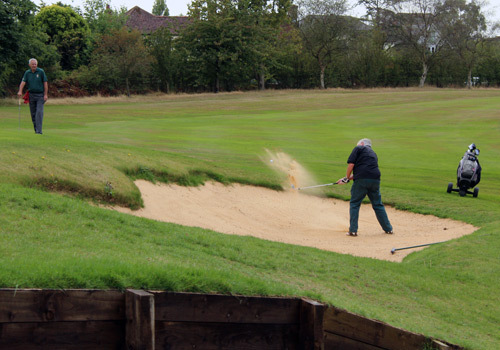 As part of Darren's Boughton GC Golf Day he set up a driving challenge on the tenth hole. 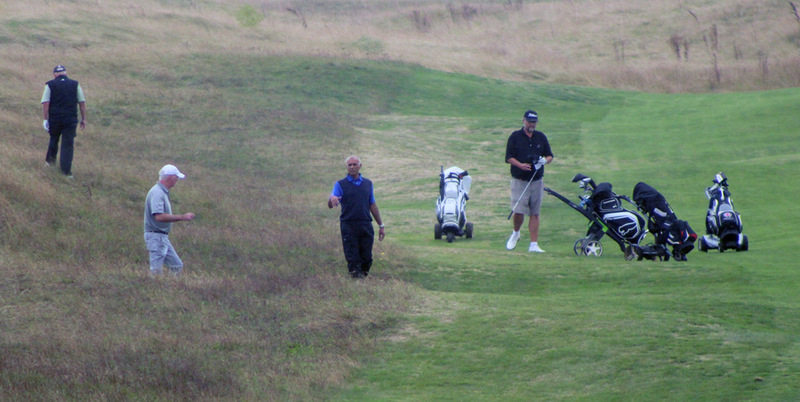 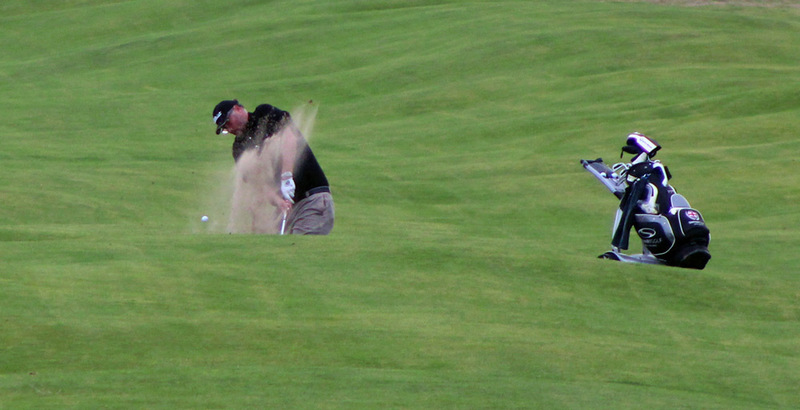 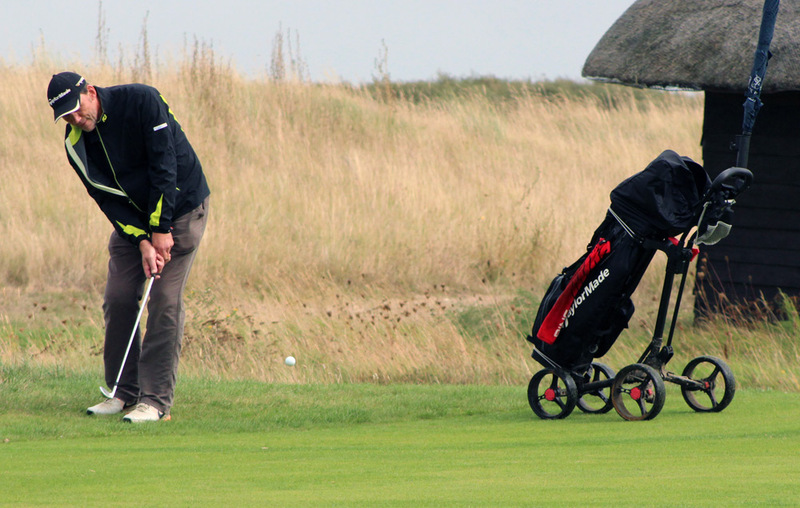 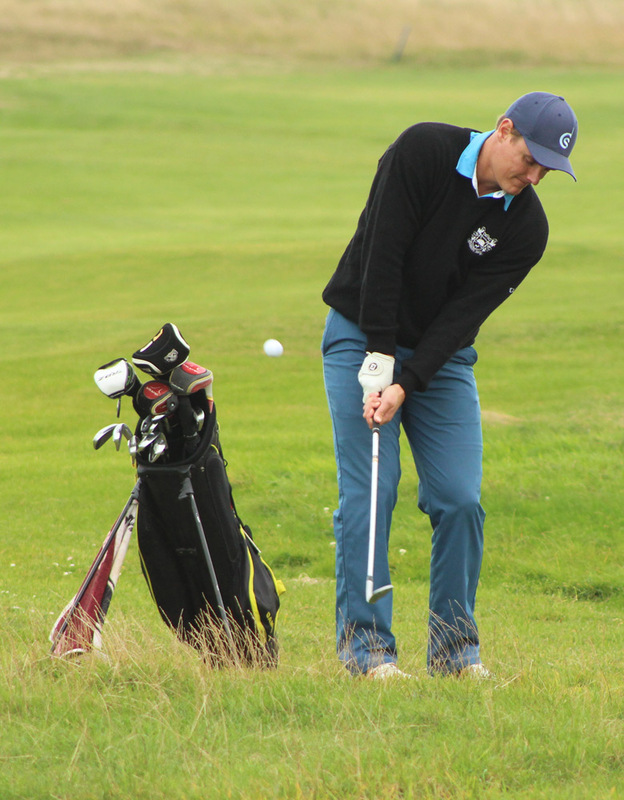 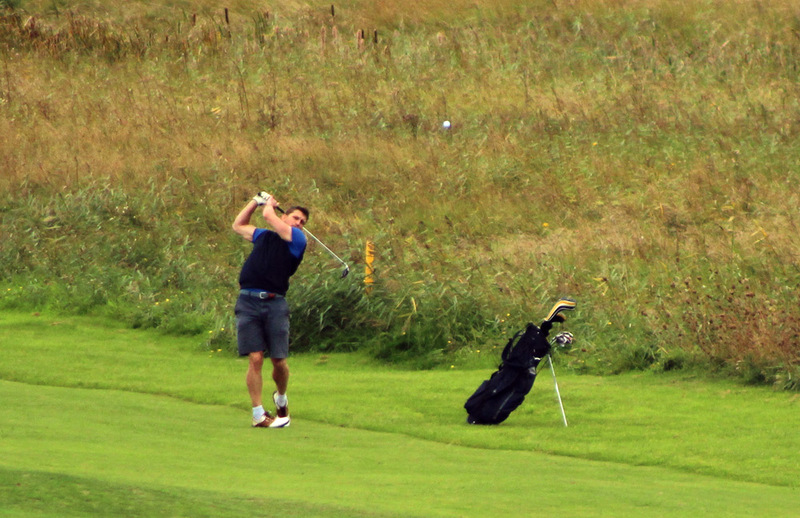 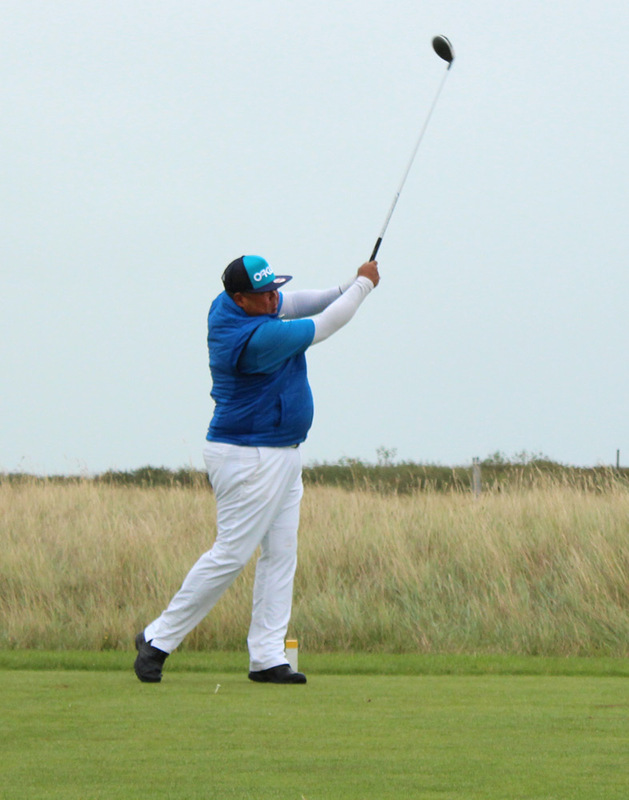 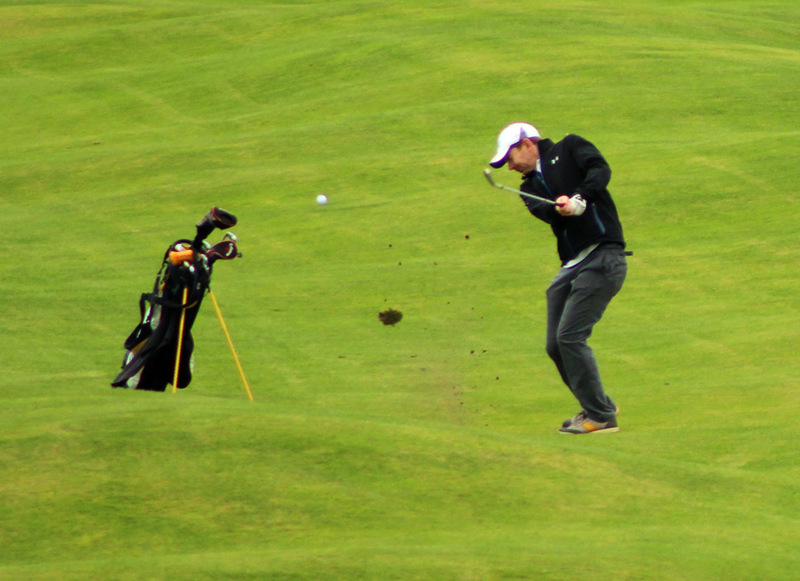 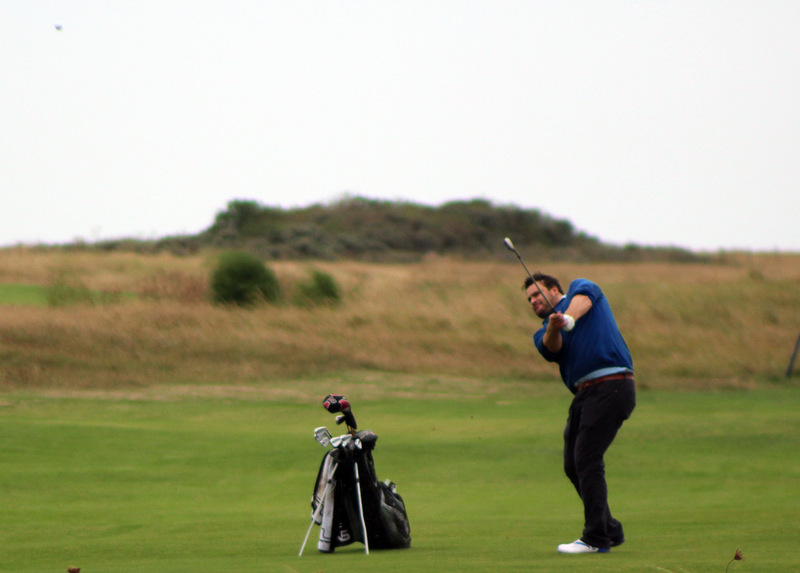 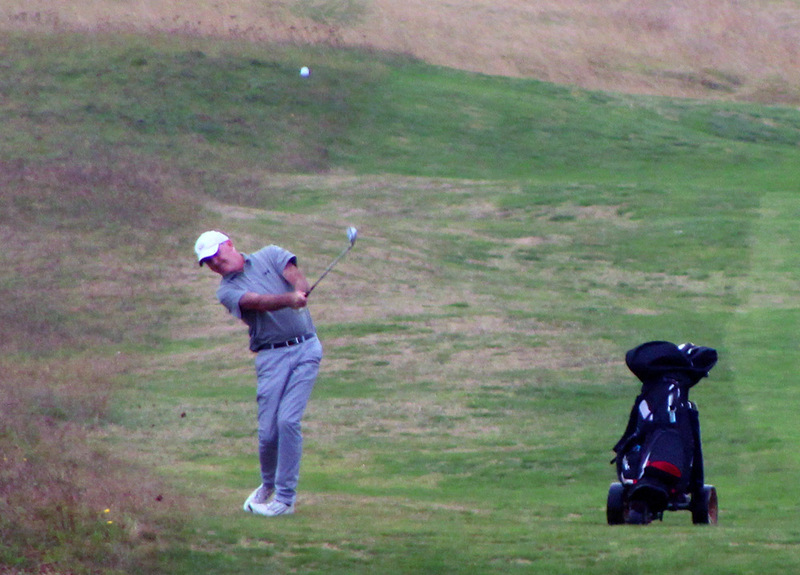 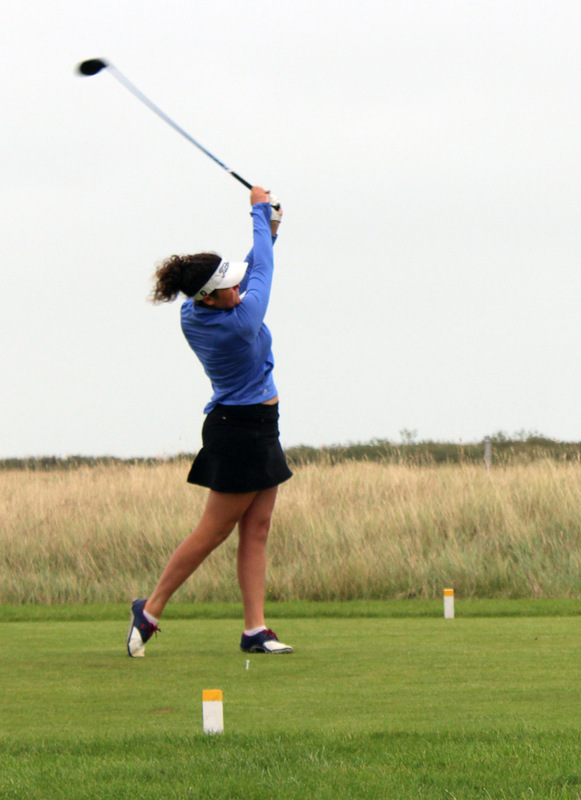 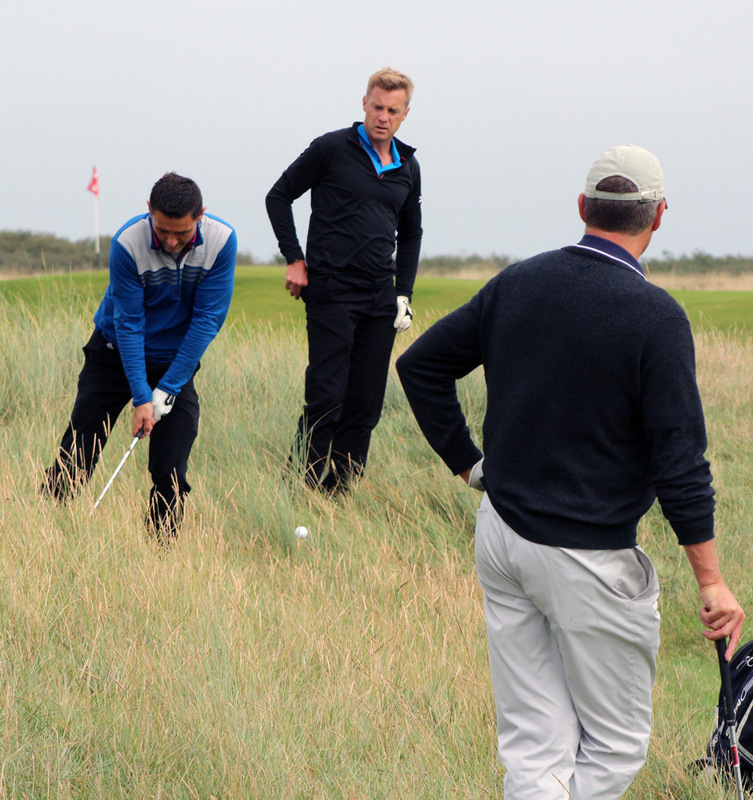 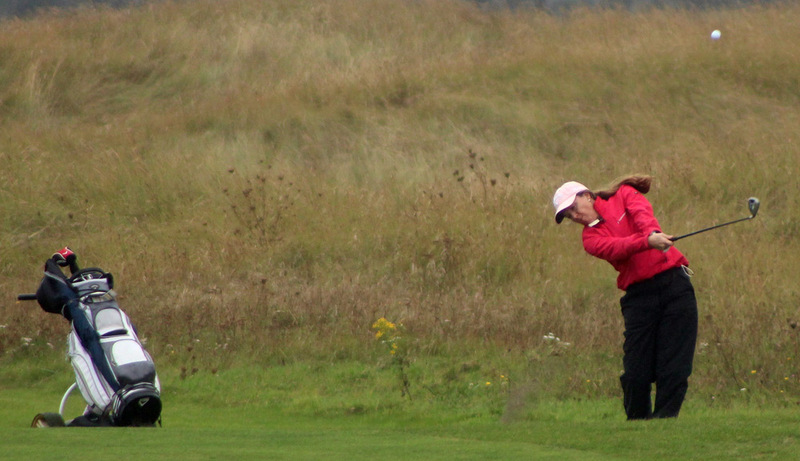 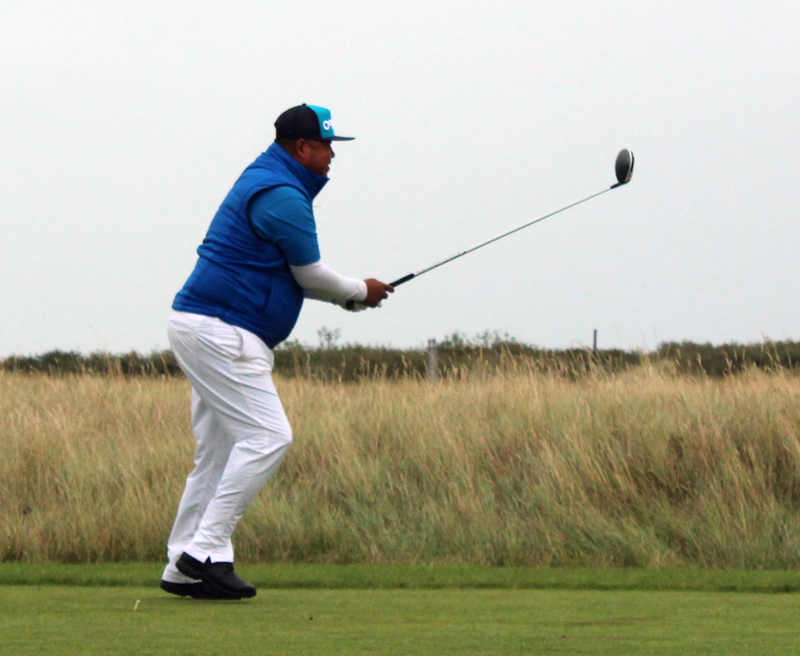 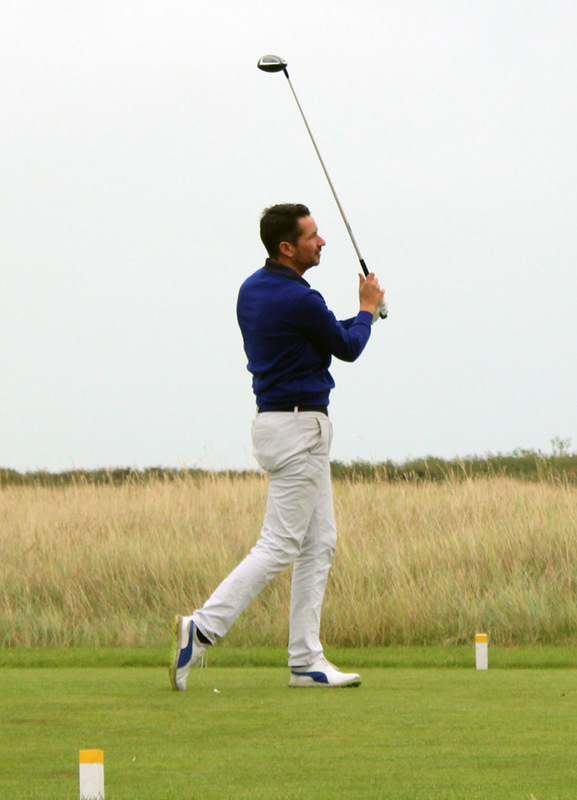 Here the former Kent cricket captain takes on Princes GC Pro Ronan McGuirk with unexpected results. 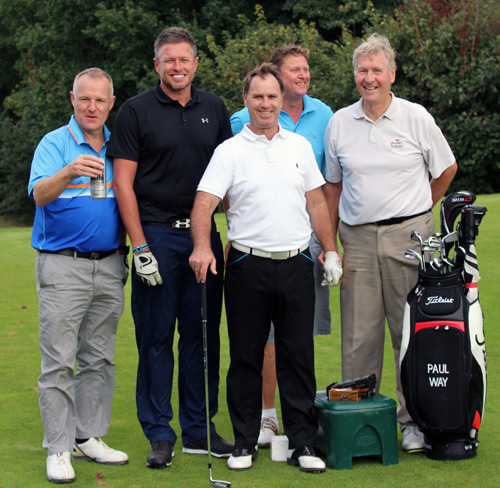 STEVO 2016 GOLF DAY - "The Action"
STEVO 2016 GOLF DAY - "Breakfast"
Before the action commenced at Wildernesse golf club, the players at the Stevo 2016 Benefit golf day checked in and took advantage of the coffee & bacon butties on offer. 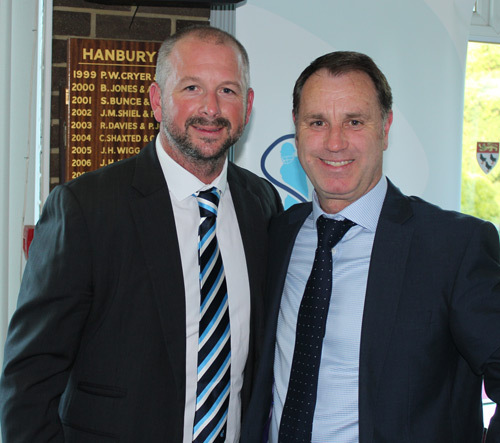 Beneficiary Darren Stevens offered a cordial welcome to over 100 guests including: Ed Giddins, Mitch Claydon, Rob Key, Min Patel, Adger Brown, Giles Hilton, Benn Barham, George M Kennedy, Anne Billings & Melissia Pretty. 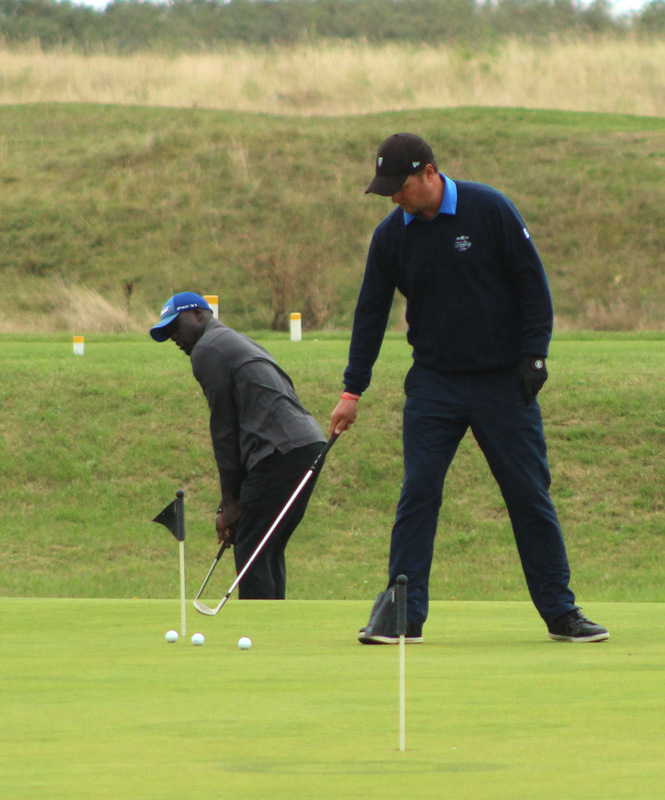 Suitably fed and watered, the players adjourned to the two practice putting greens before the action commenced on course. 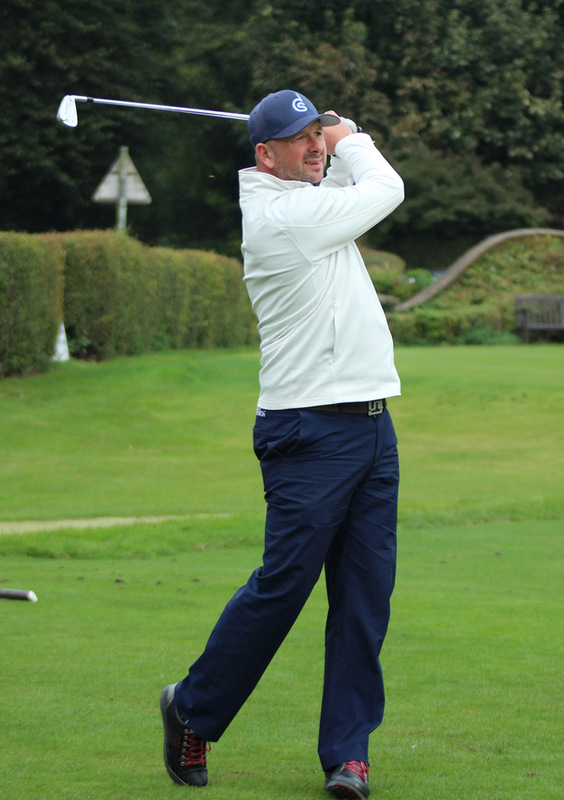 Darren Stevens' first day of pre-season in the Kent Cricket Indoor School facing a battery of bowling machines. 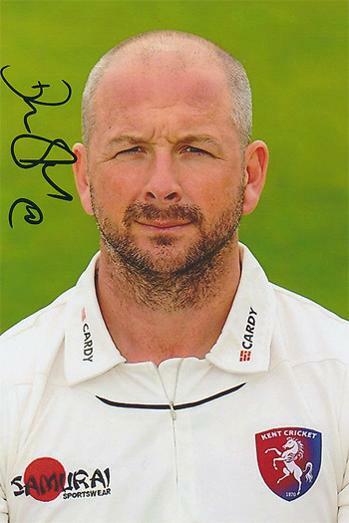 Darren Stevens' first innings of the 2016 season - scoring 67 v Essex in a friendly at the Spitfire Ground. 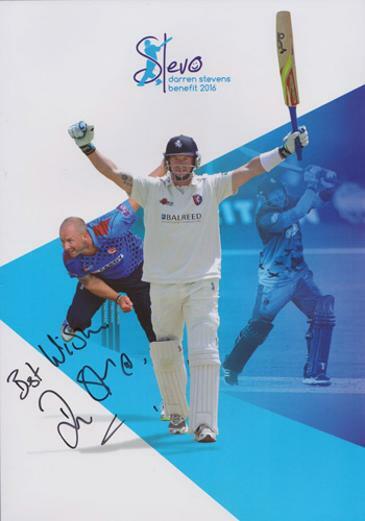 Uniquely Sporting is offering an official Stevo 2016 Benefit brochure signed by the man himself as well as other Kent Cricketers: Sam Northeast, Rob Key, Sam Billings, Joe Denly, David Fulton, Daniel Bell-Drummond, Jimmy Adams, James Tredwell, Adam Ball, Mitch Claydon, Fabian Cowdrey, Adam Riley, Alex Blake, Matt Coles, David Griffiths, Ivan Thomas, Adam Rouse, Callum Haggett, Charlie Hartley, Matt Hunn, Sean Dickson, Imran Qayyum, Simon Willis, Derek Ufton, Chris Cowdrey, Kagiso Rabada, Graham Johnson, Geraint Jones, Robbie Joseph, Julian Thompson, KCCC Chairman George M. Kennedy plus celebrities and others who were involved in the 20916 Benefit events. 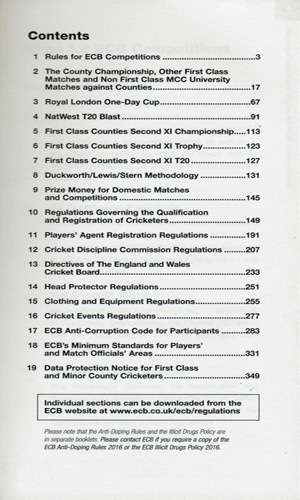 £6.00 inc P&P in the UK only. 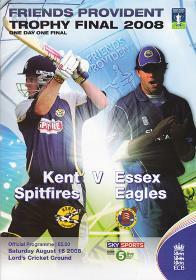 The 80-page full-colour brochure contains highlights of Darren's career and his Benefit Season events, with guest column contributions from the likes of: Kent cricket coach Jimmy Adams, England World Cup Rugby winner Martin Johnson, England cricket captain Alistair Cook + Test team-mate Stuart Broad, as well as as KCCC former and current players / staff: Graham Ford, Rob Key, Geraint Jones, Simon Cook, Vince Wells, Paul Nixon, Sam Northeast & Sam Billings. 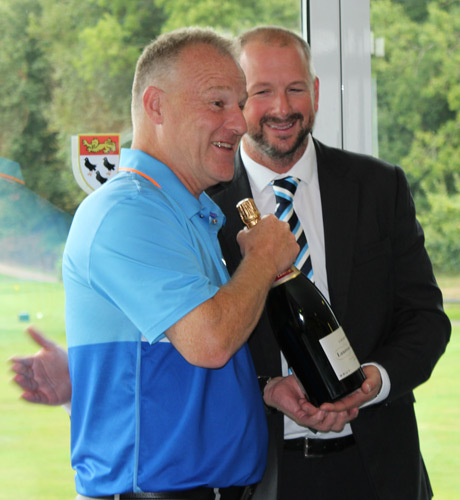 Also contains congratulatory pages from Darren's sponsors and corporate supporters inc: Shepherd Neame, Spitfire Ale, Oakley Bluewater, CWW Chartered Accountants, Grange Hotels, Black Horse Pembury, Princes Golf Club, Wildernesse club, Altonwood Golf, Pentland Golf, EMC, Direct Commercial, PCA Benevolent Fund, Bayliss Executive Travel, Risque dynamics, Stennents, Kent Sports News, Mercure Maidstone, Harwood, Handpicked hotels, J Riley & sons, Savills, Canterbury RUFC, Owzat-Cricket, Henry Riley, Hayward design, Chris Potter sports & Stevo's 2016 charitable partners: The Brain Tumour Trust & Ellinor Hospice. 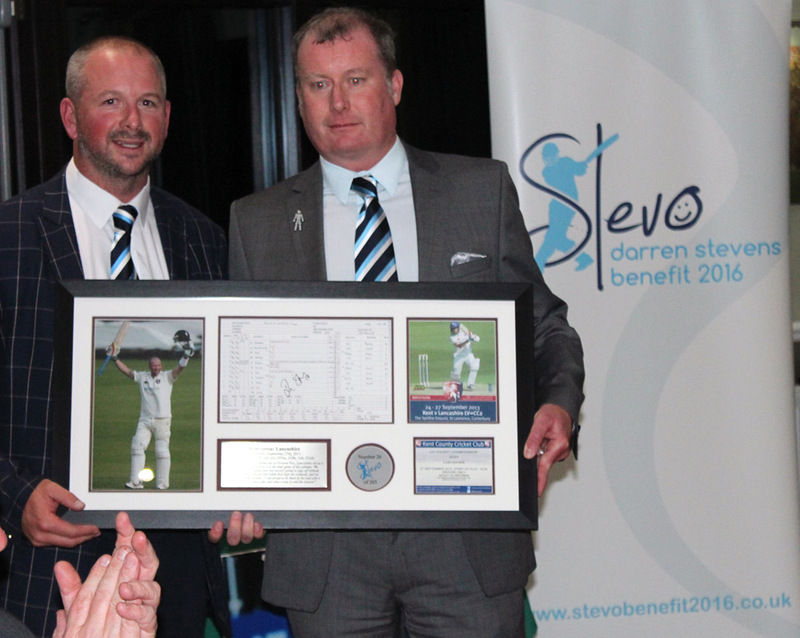 Uniquely Sporting is offering a special limited edition signed cricket bat that celebrated Darren Stevens' Stevo 2016 Benefit season with Kent County Cricket Club. 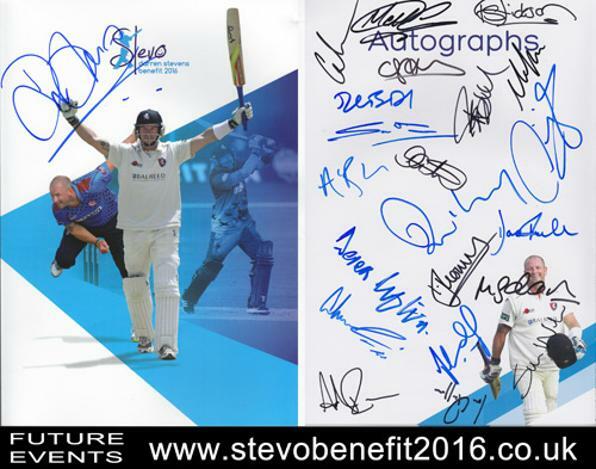 The full-size Kookaburra cricket bat is engraved with the official Stevo 2016 logo and Kent squad player names, signed by: Sam Northeast (Captain), Darren Stevens (beneficiary), Adam Ball, Daniel Bell-Drummond, James Tredwell, Alex Blake, Hugh Bernard, Ivan Thomas, David Griffiths, Sam Billings, Mitchell Claydon, Matt Coles, Fabian Cowdrey, Zak Crawley, Charlie Hartley, Joe Denly, Imran Qayyum, Rob Key, Adam Riley, Sam Weller, Sean Dickson, Calum Haggett, Matt Hunn, Adam Rouse. 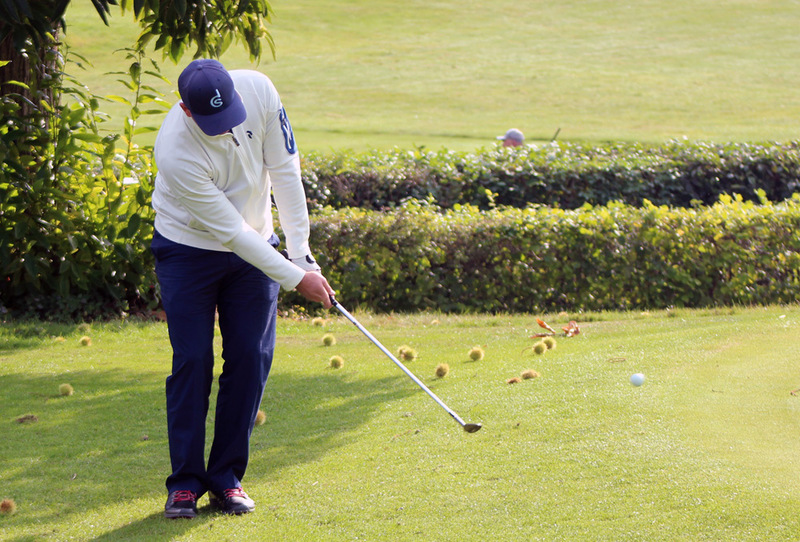 (arrangements can be made to collect the bat in person). 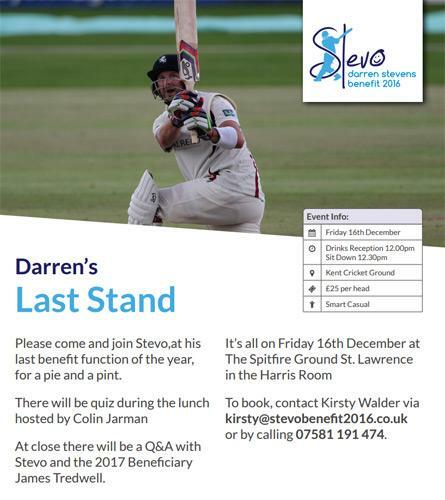 As well as the multi-signed Stevo 2016 Benefit brochure and mini-bat, Uniquely Sporting are offering the following Darren Stevens' Memorabilia. 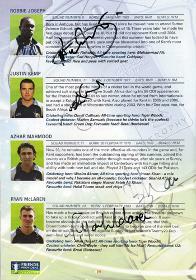 Signed Kent CCC newspaper pic. 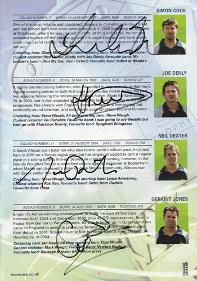 Signed Kent CCC portrait photo. 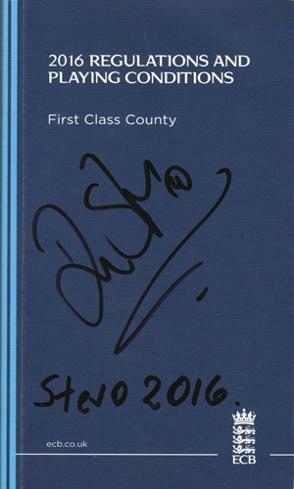 DARREN STEVENS signed copy of the ECB's 2016 Regulation and Playing Conditions Rule Book. 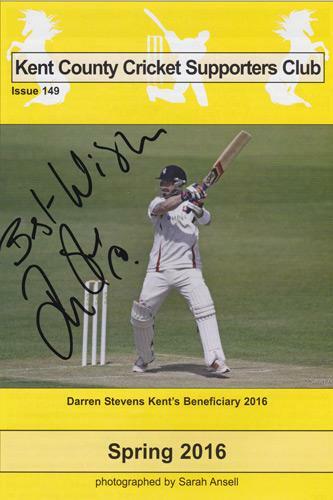 Darren Stevens signed Kent County Cricket Supporters Club Spring 2016 newsletter. 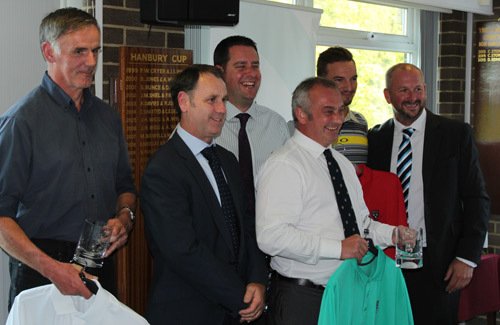 If you are feeling as dapper as these well-dressed Kent players, why not splash out for an Official Stevo 2016 Benefit Tie. 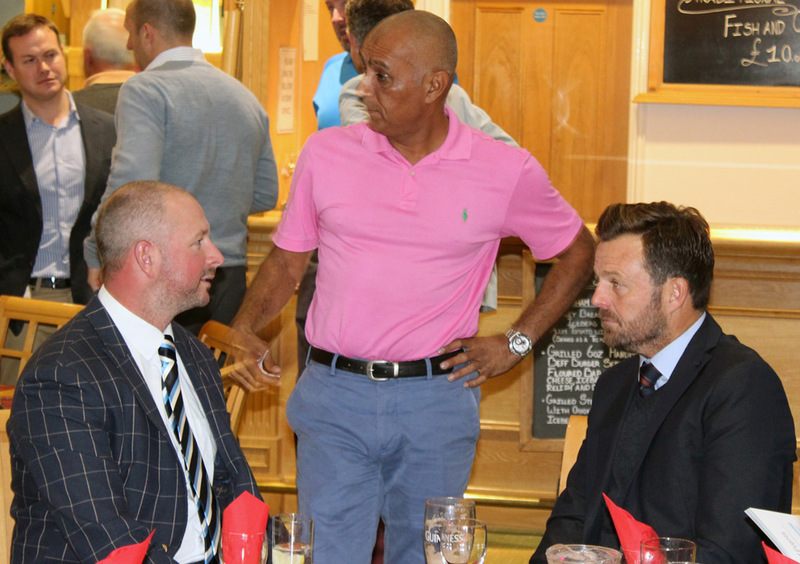 Buy your Darren Stevens 2016 Benefit Tie for £20 inc free P&P in the UK only. 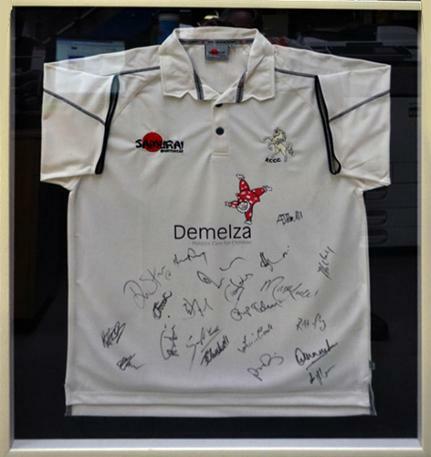 Please CONTACT US with your bid offers for or questions about for any of the items above or below. 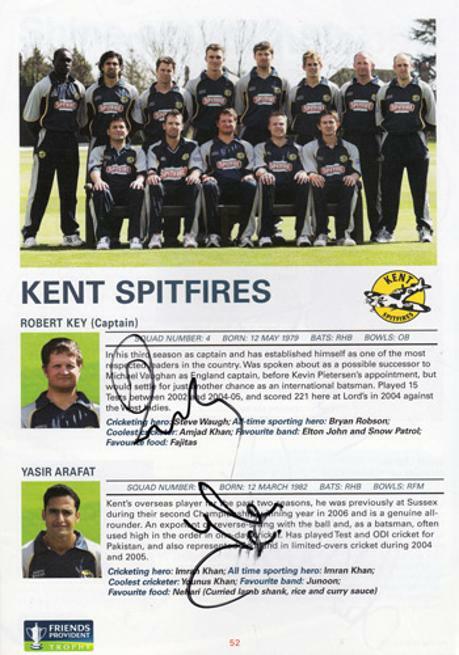 Signed by 14 Kent players: Rob Key, Yasir Arafat, Simon Cook, Joe Denly, Neil Dexter, Geraint Jones, Robbie Joseph, Martin Kemp, Azhar Mahmood, Ryan McLaren, Darren Stevens, James Tredwell, Martin van Jaarsveld, Matt Walker. 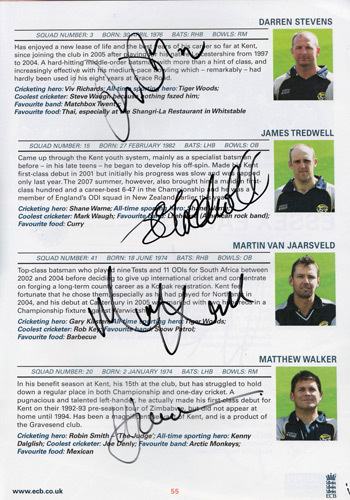 Also signed by 12 of the Essex CCC squad and all three match officials, inc former Kent CCC player Nigel Llong. 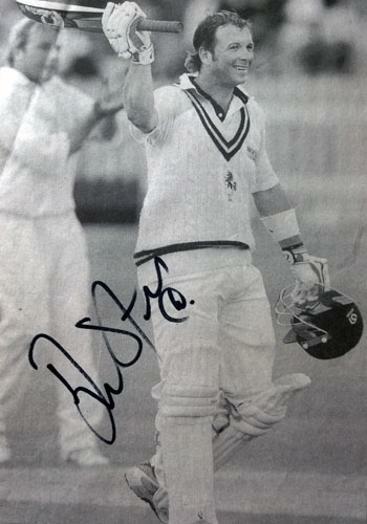 Welcome to the Uniquely Sporting Sports Memorabilia page for Darren Stevens Memorabilia and Stevo memorabilia and exclusive video diary.